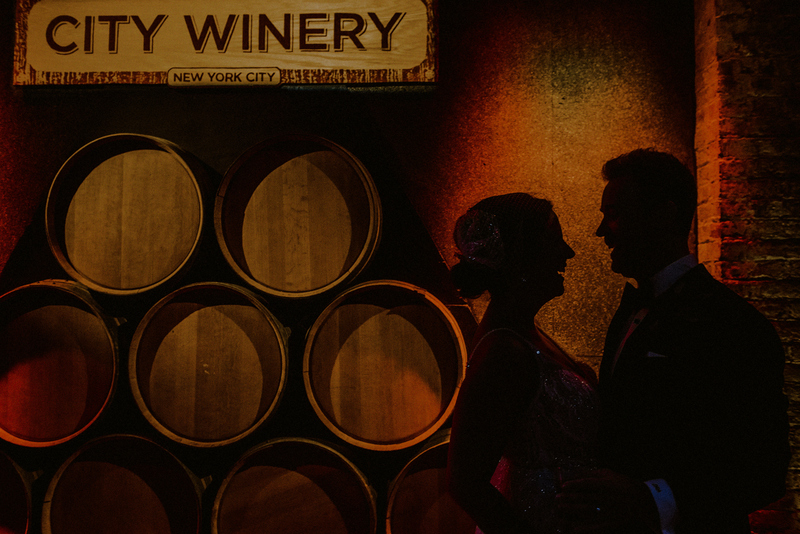 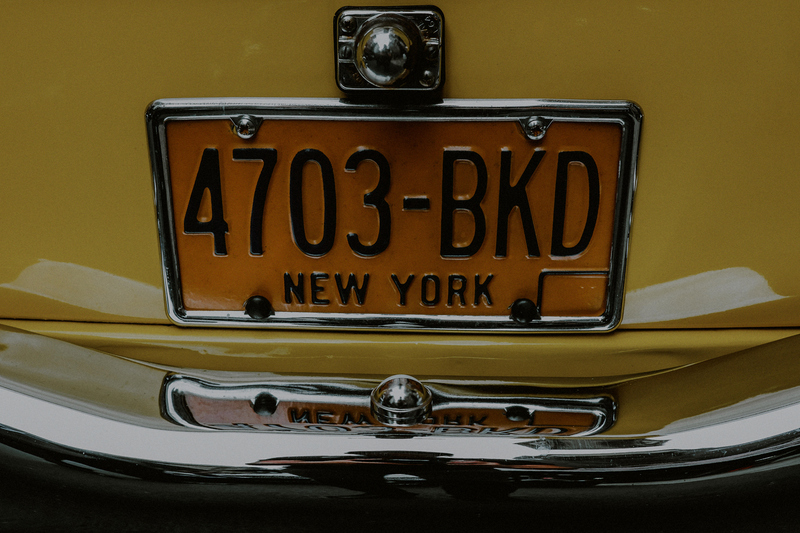 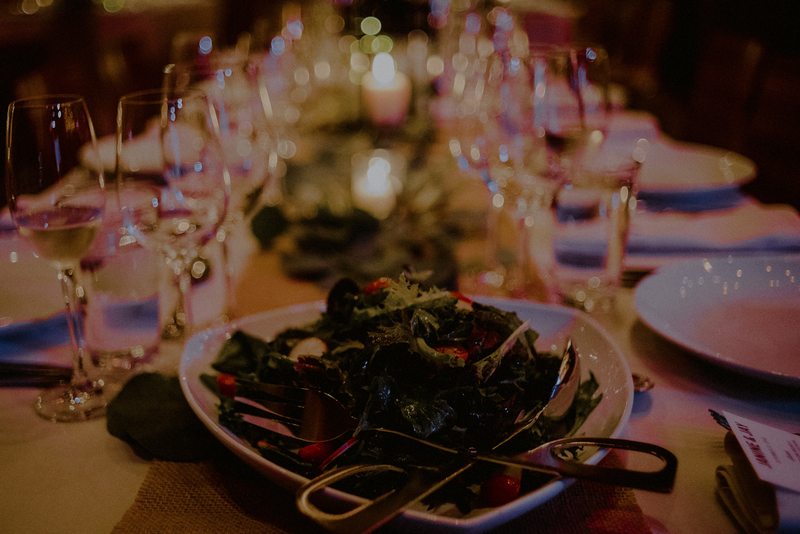 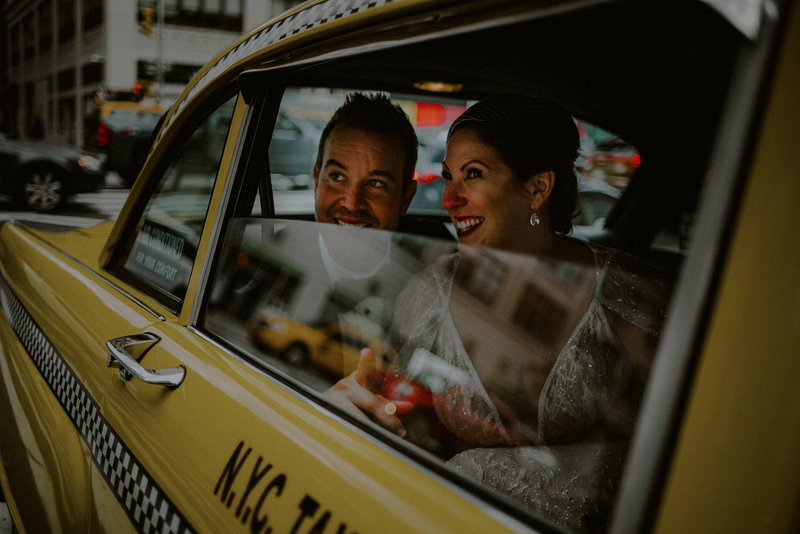 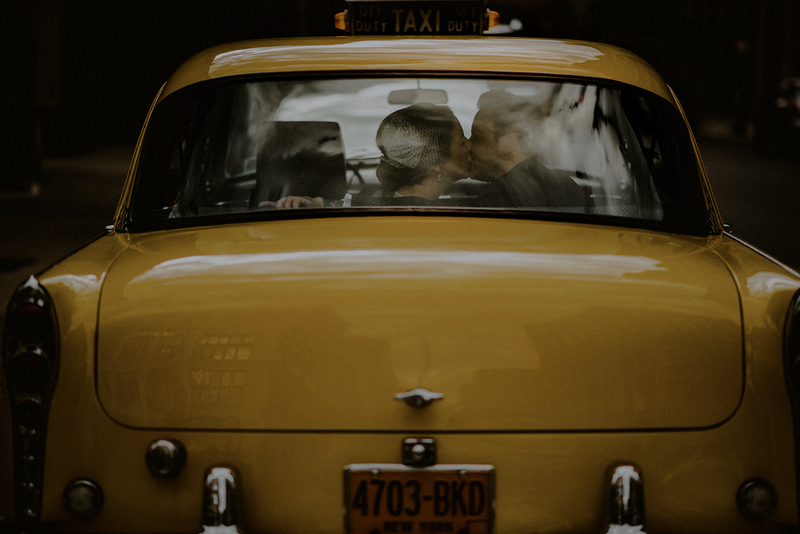 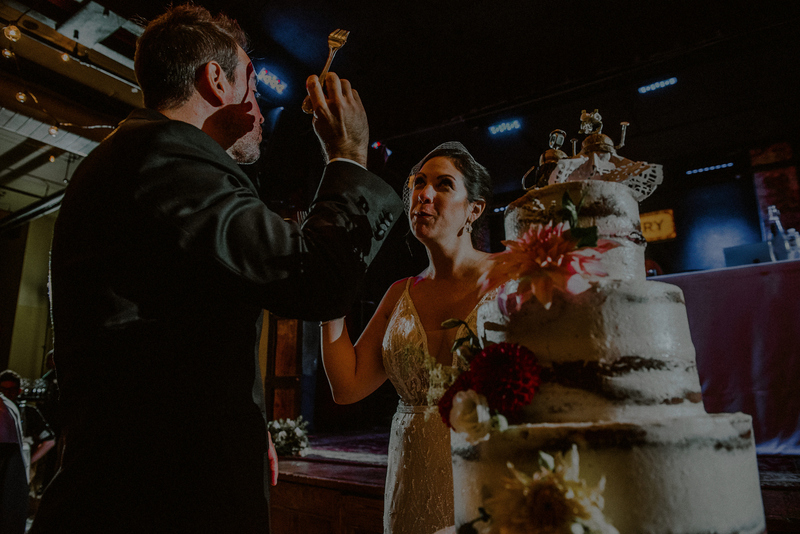 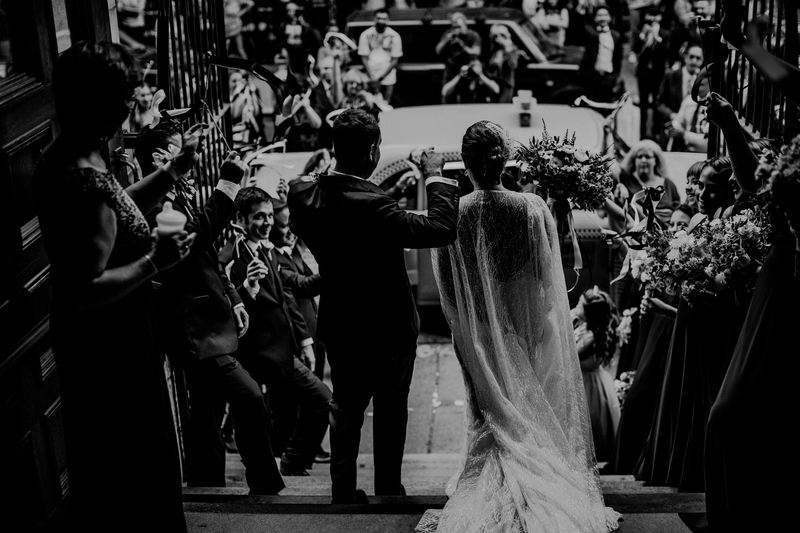 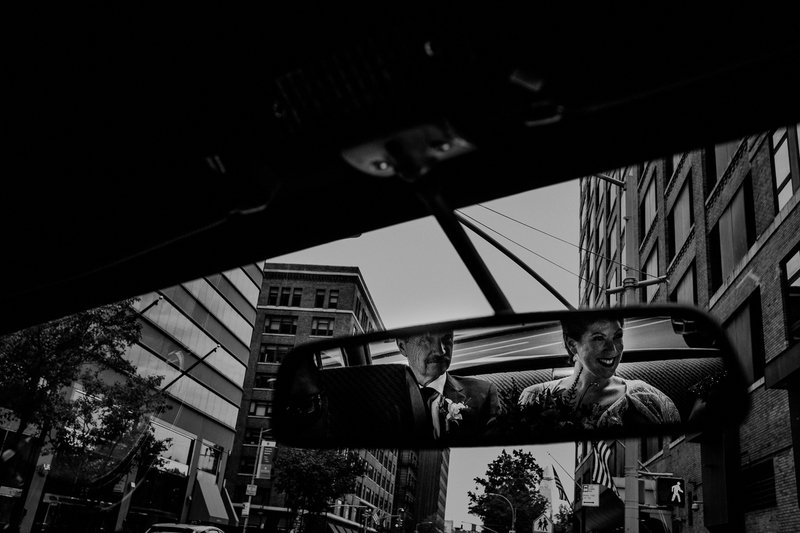 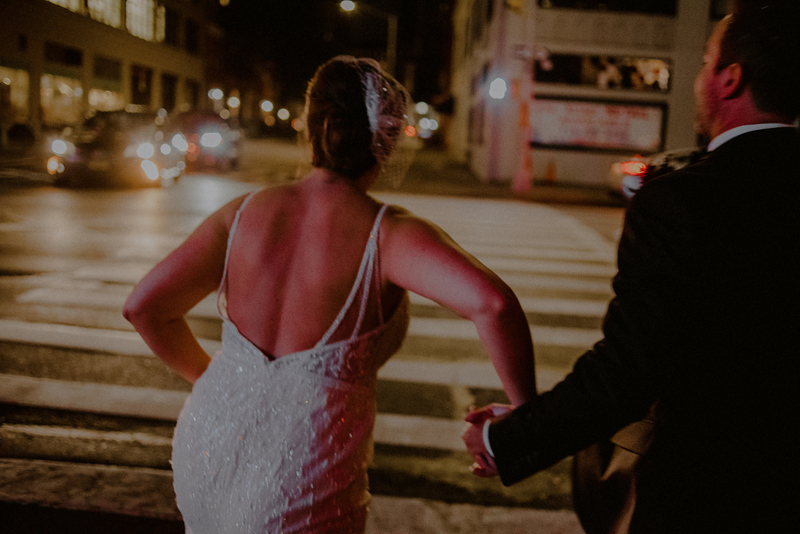 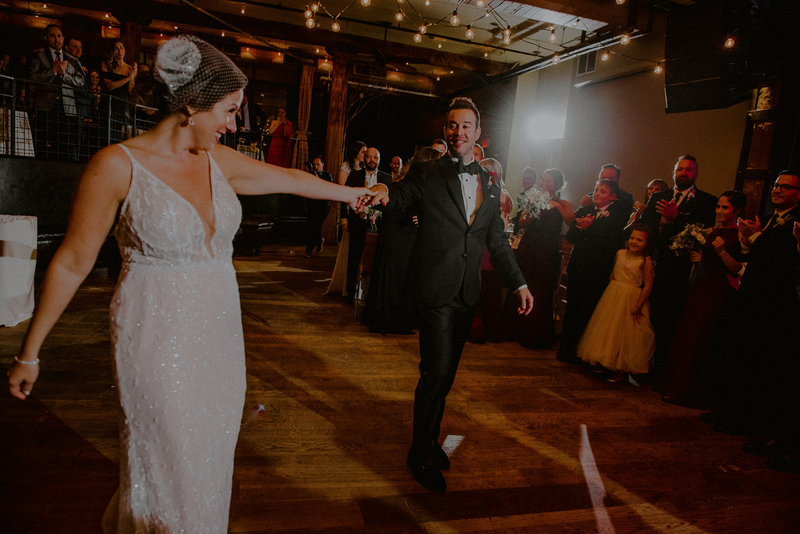 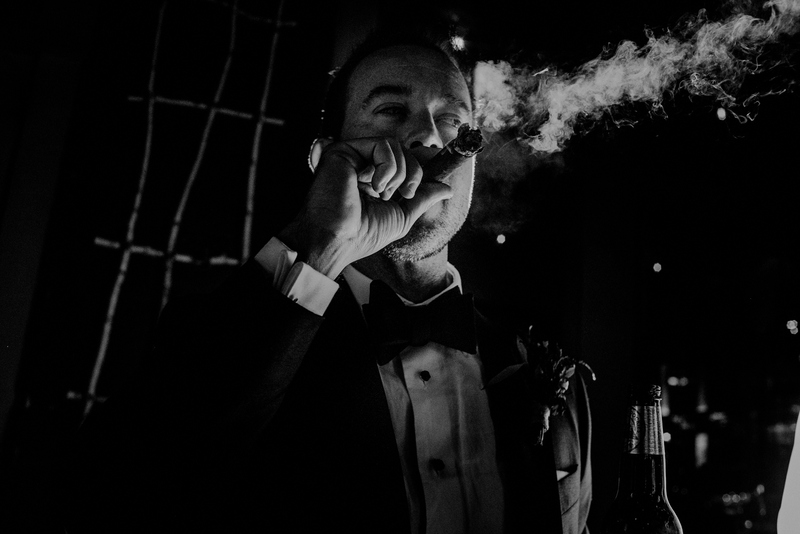 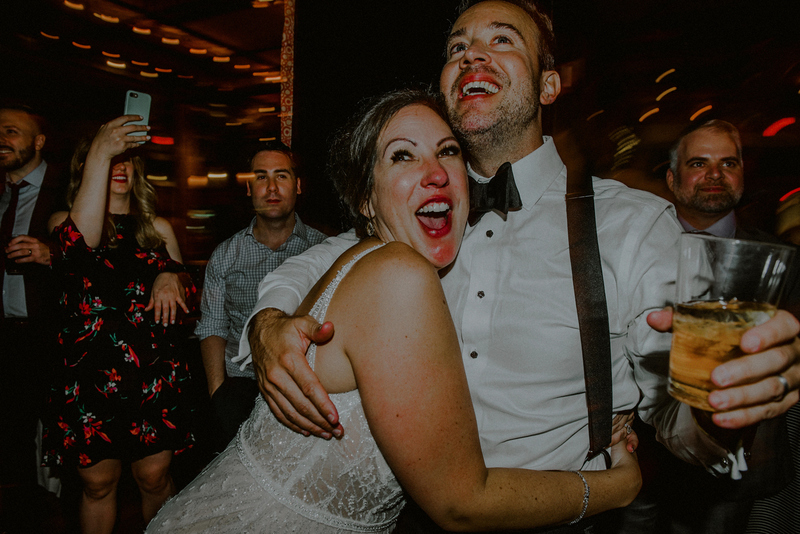 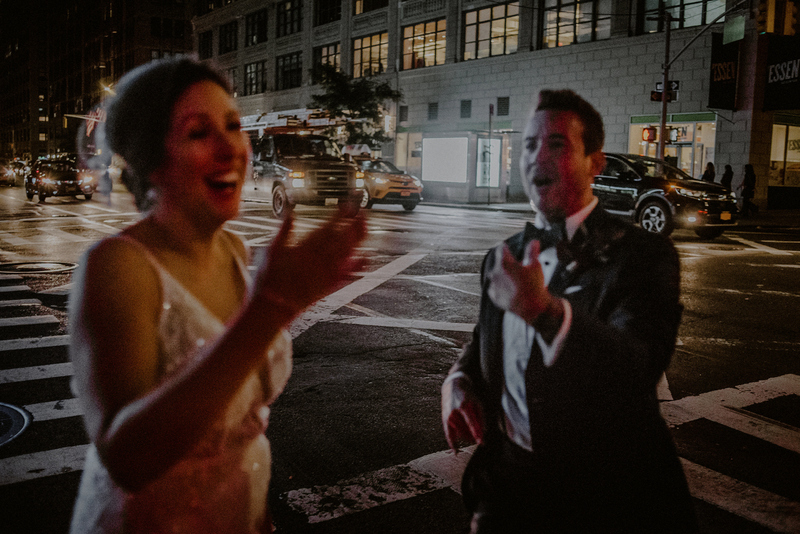 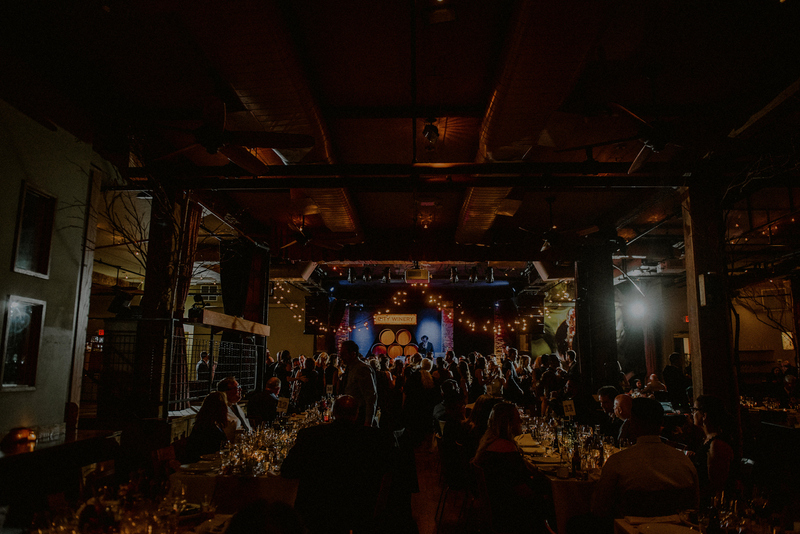 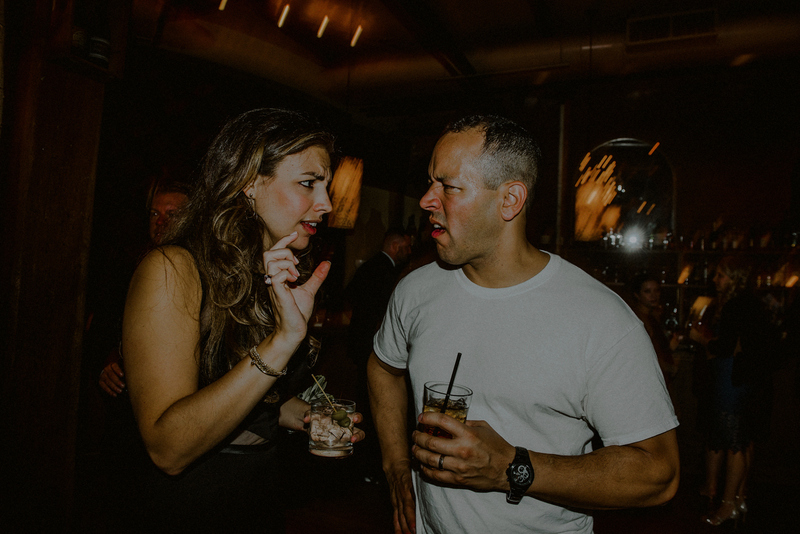 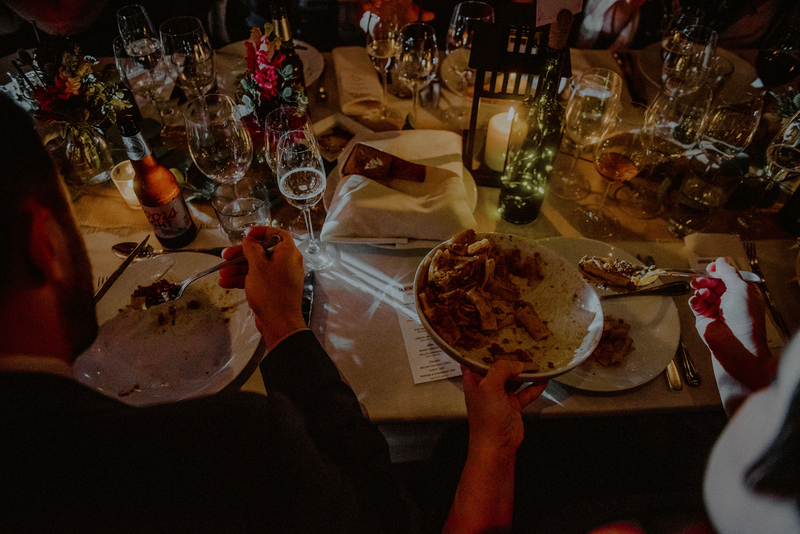 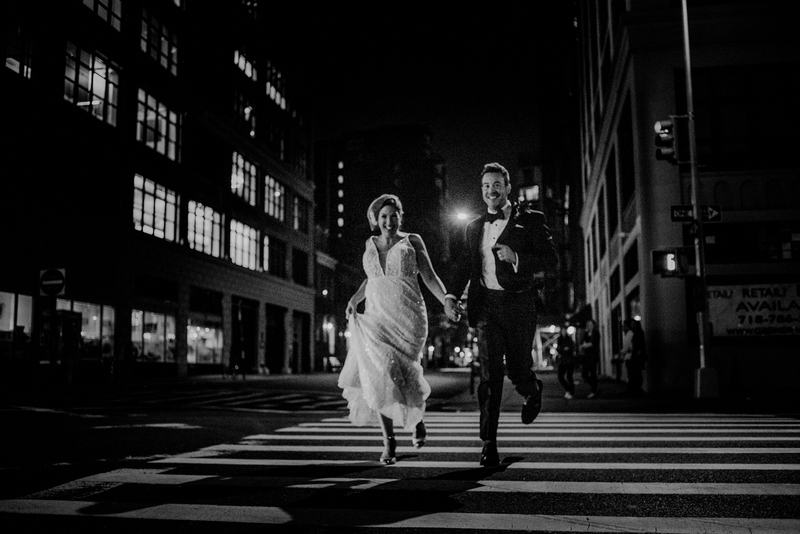 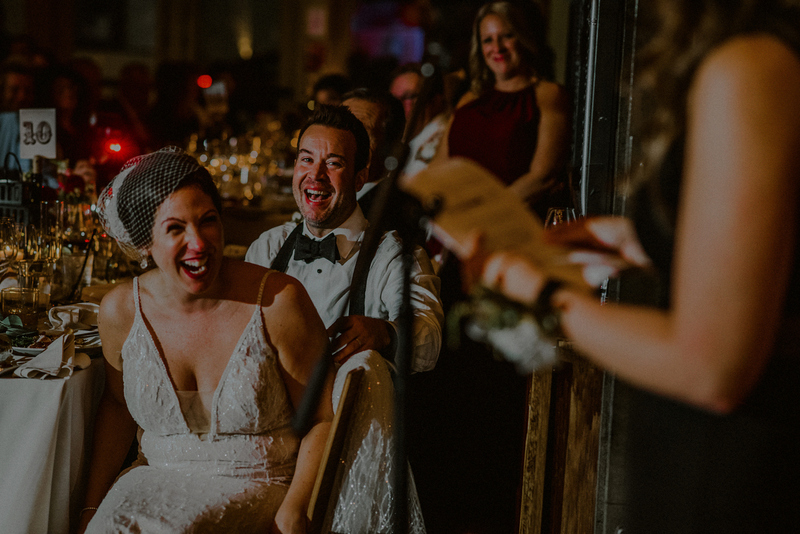 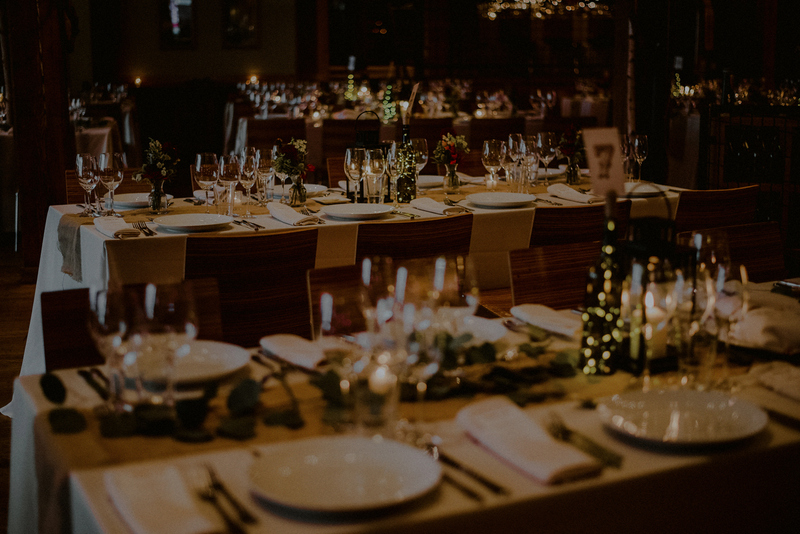 Janine and Jay had a classic and epic NYC wedding at City Winery in Downtown Manhattan. 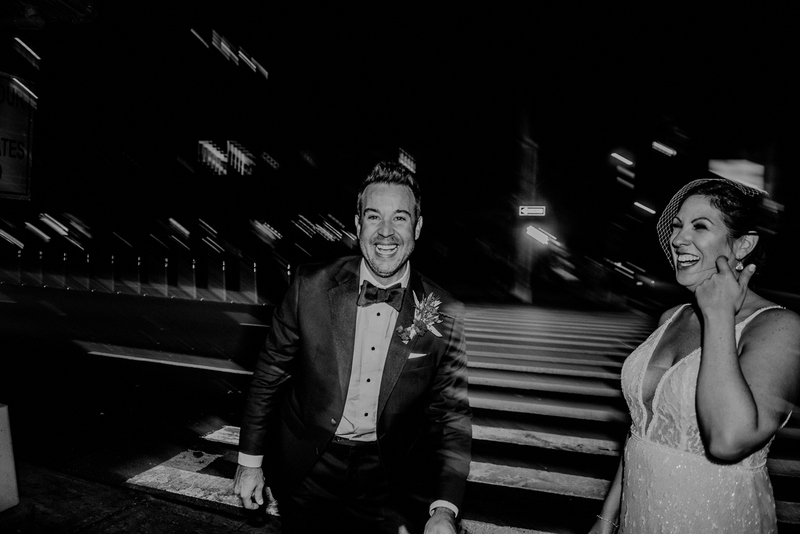 Believe it or not, this country girl actually has a city girl heart; one of my favorite places to photograph weddings is in New York City! 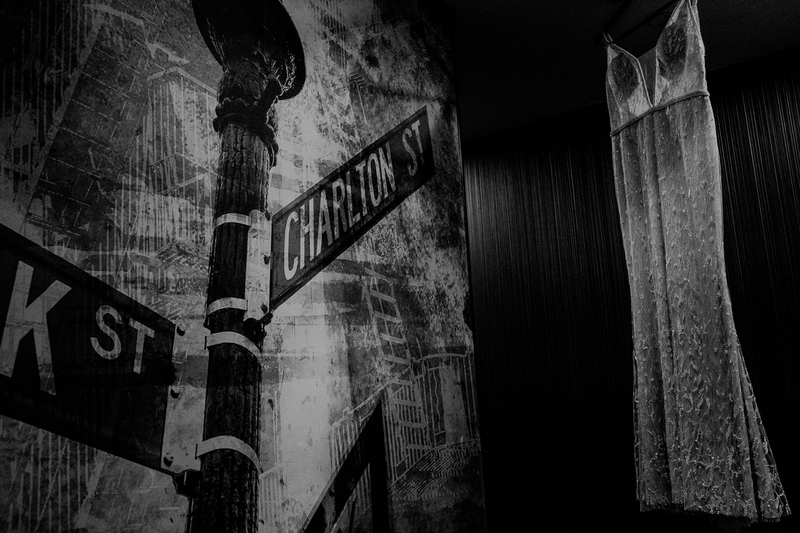 There is so much diversity, and the raw, urban feel of it makes it all the more real and rugged to me. 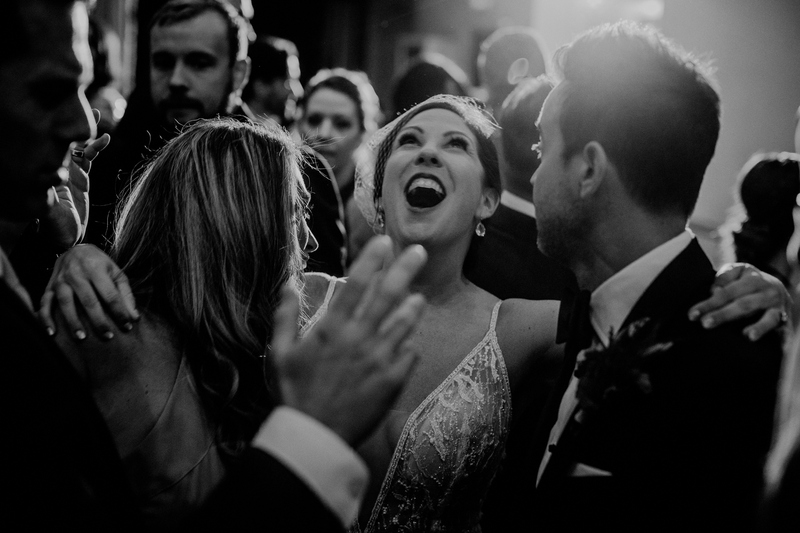 It’s like a breath of fresh (albeit, polluted) air! 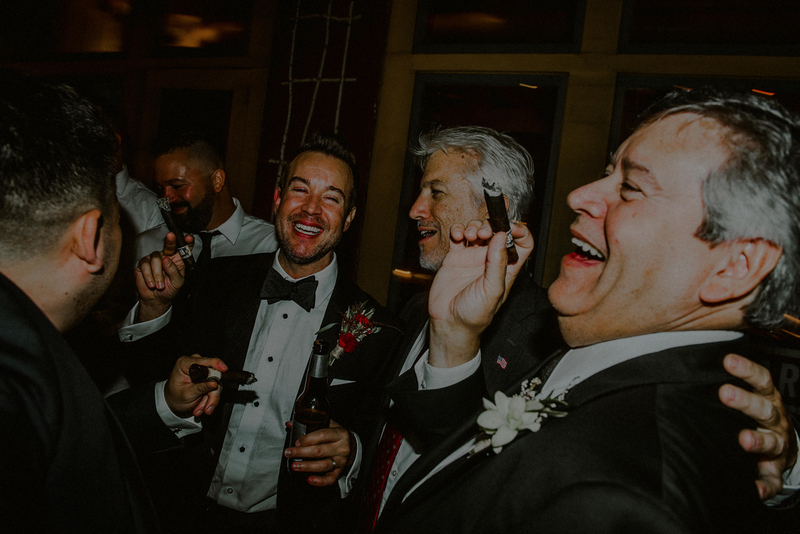 The day started off with all smiles. 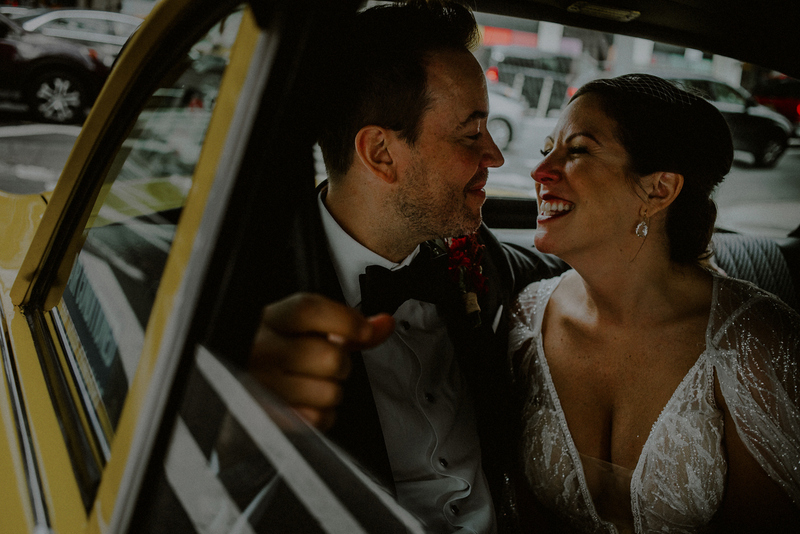 Janine and Jay were both grinning ear to ear all morning, which completely set the tone for the day! 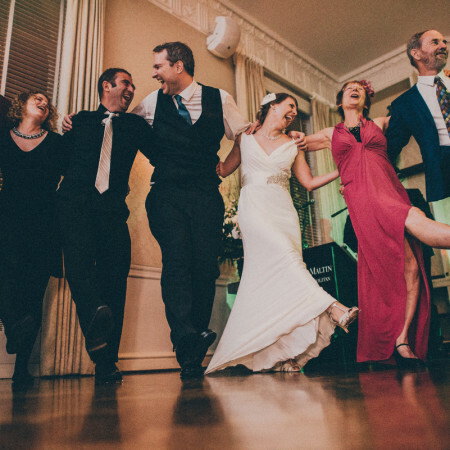 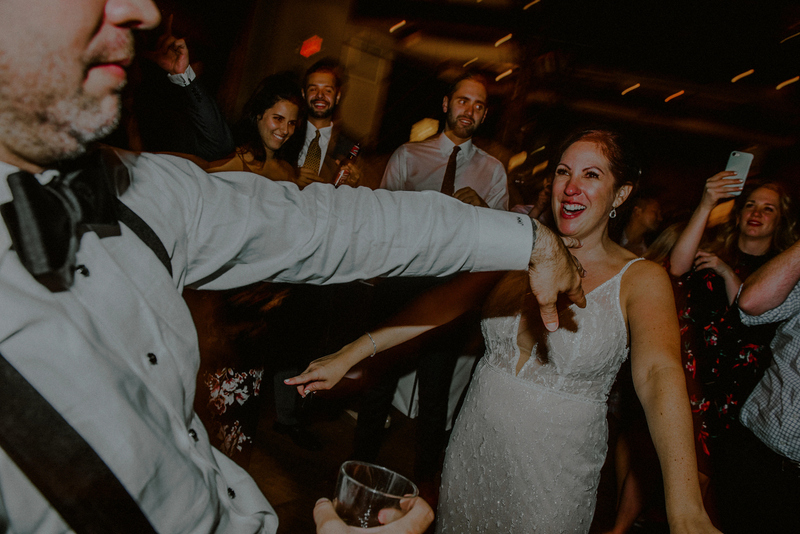 There is nothing that I love more than completely relaxed brides and grooms that go with the flow of the day and have fun with whatever the day decides to throw their way! 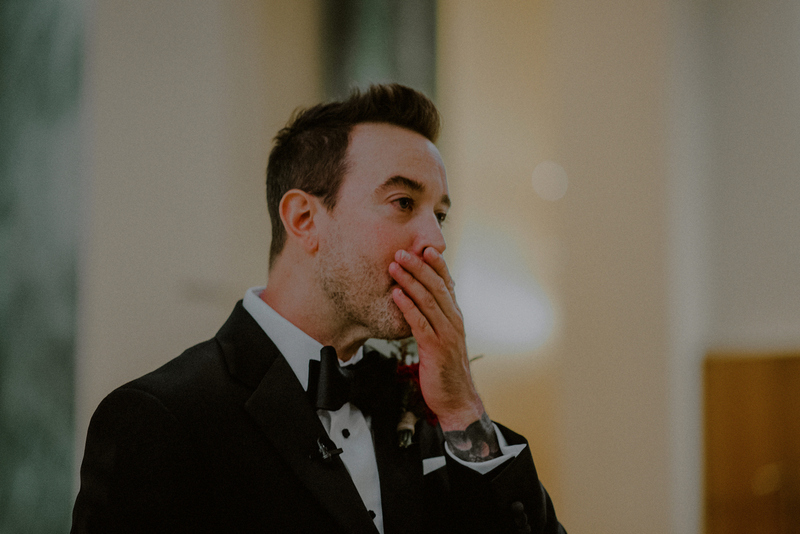 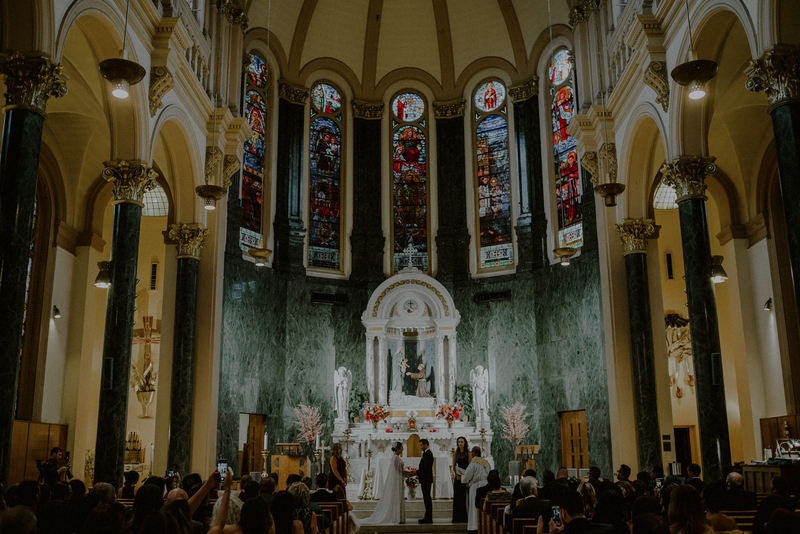 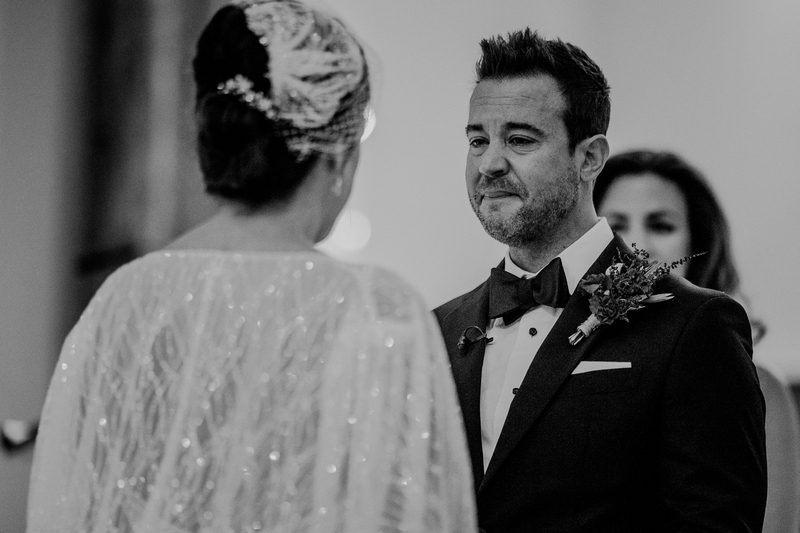 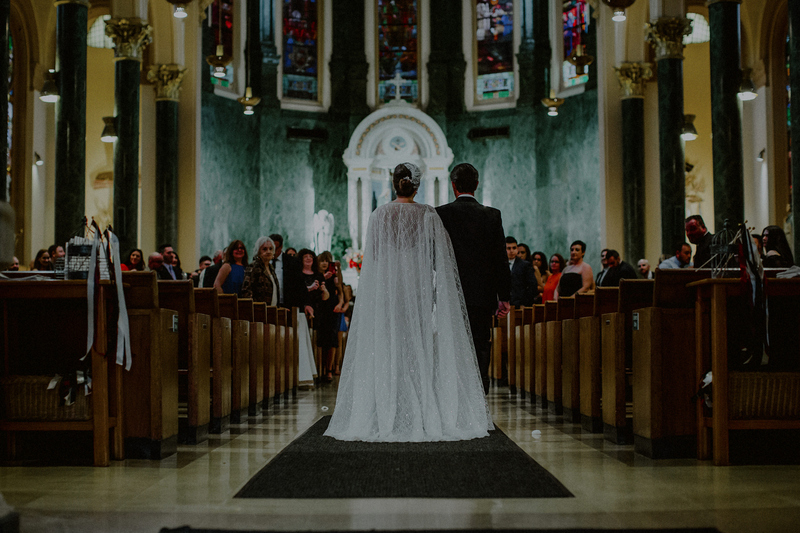 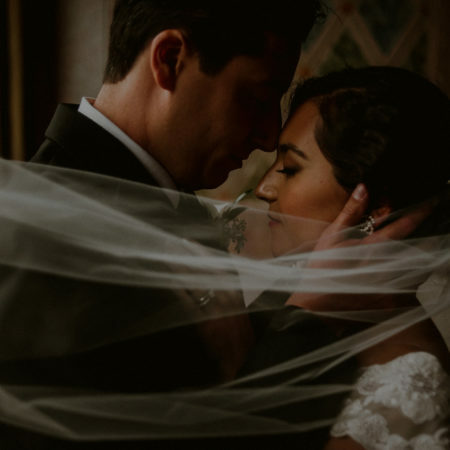 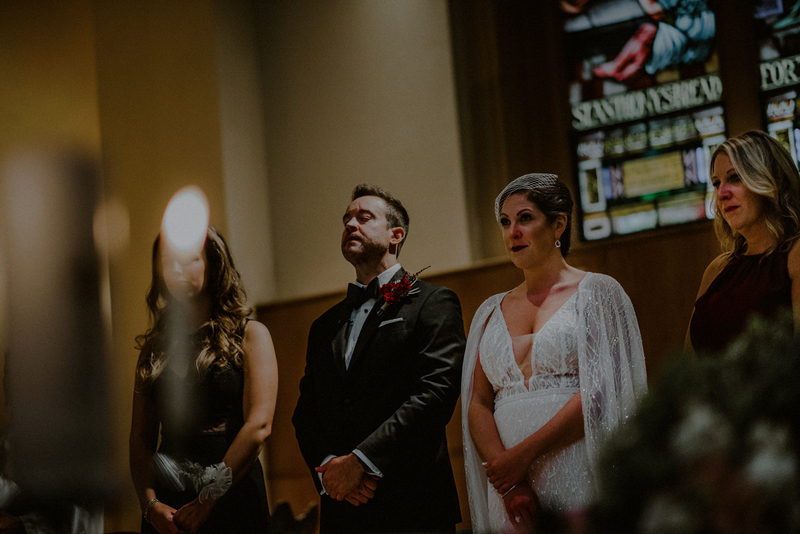 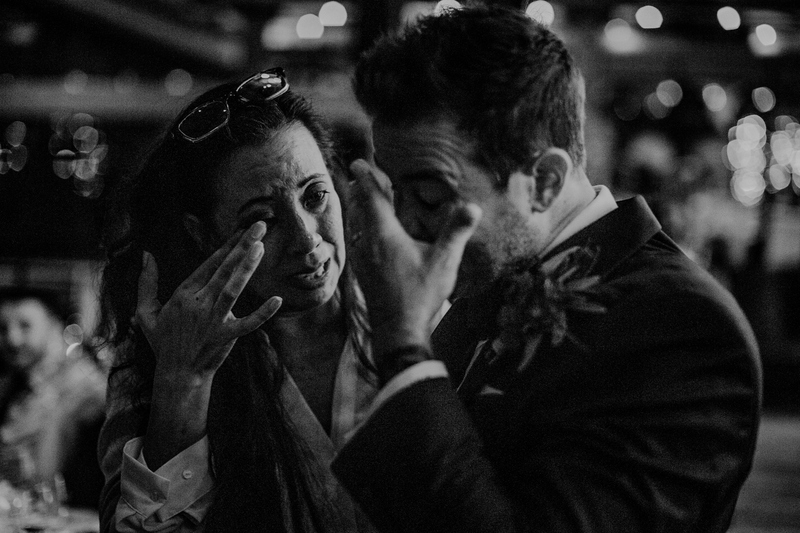 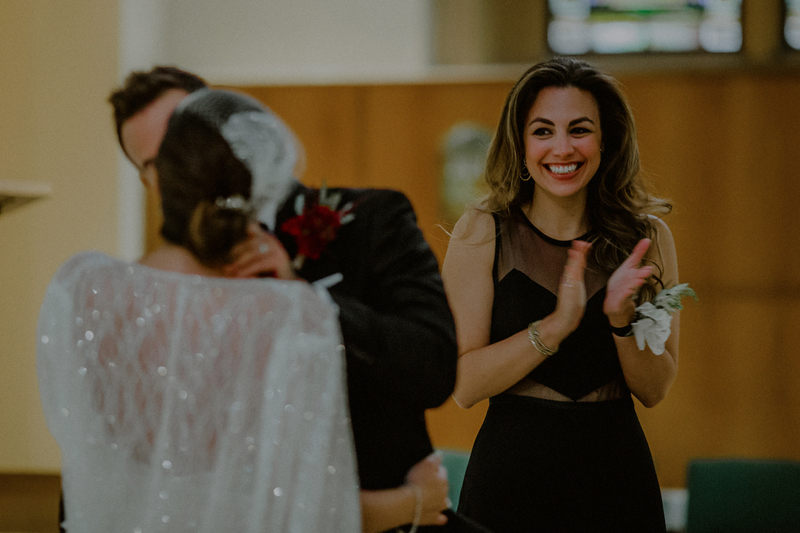 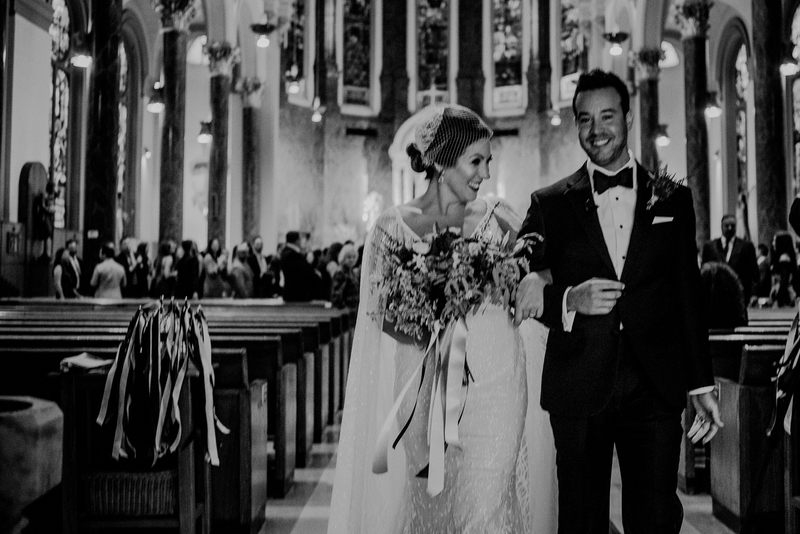 They chose a classic NYC church ceremony, held at the Shrine Church of St. Anthony of Padua in Downtown Manhattan, where tears started flowing before the doors were even opened for the bride. 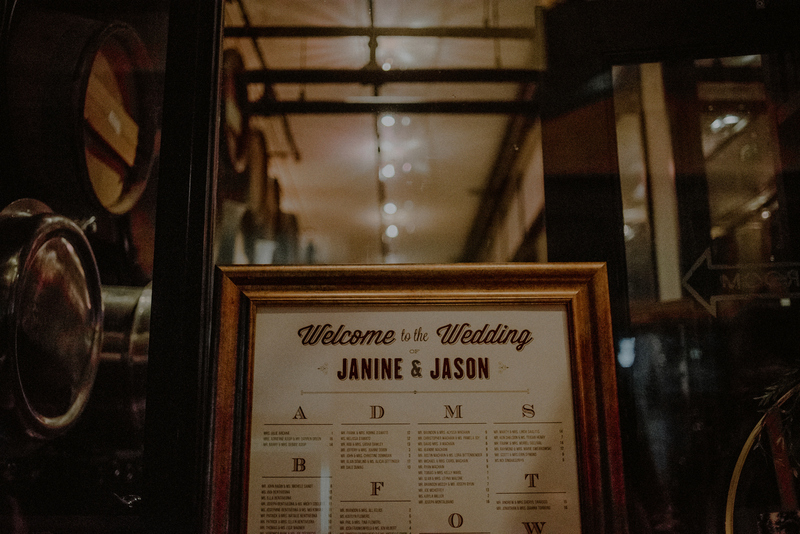 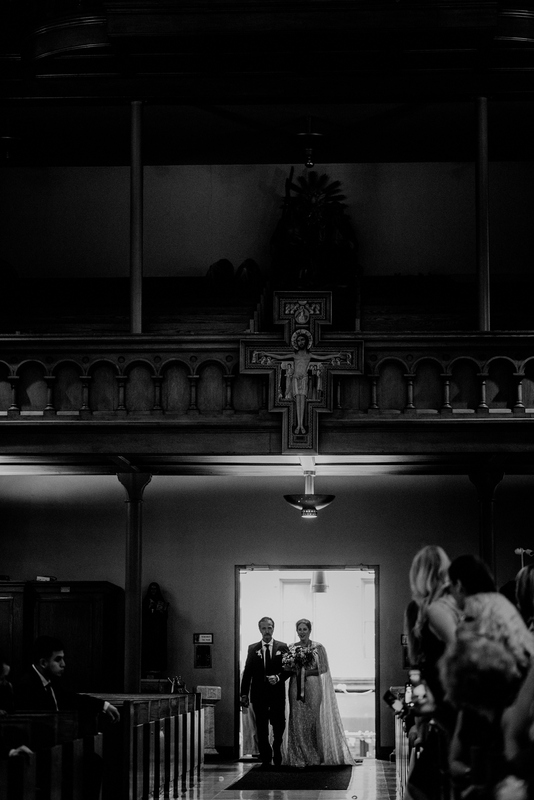 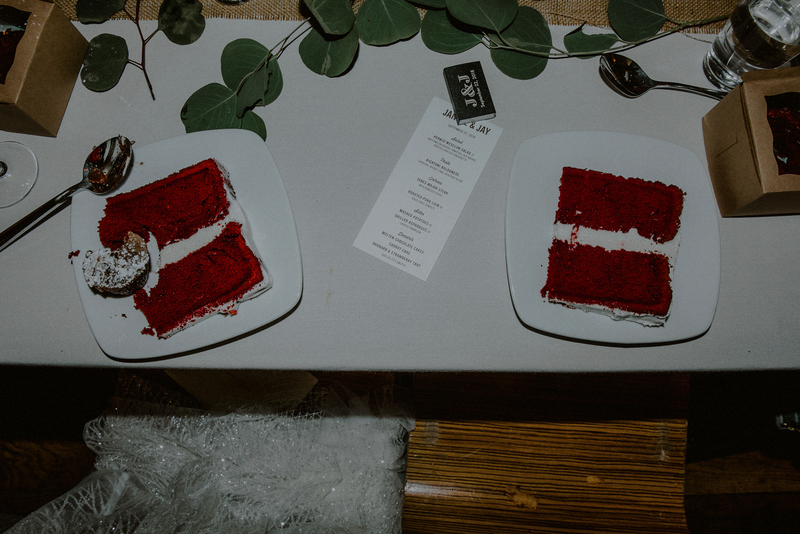 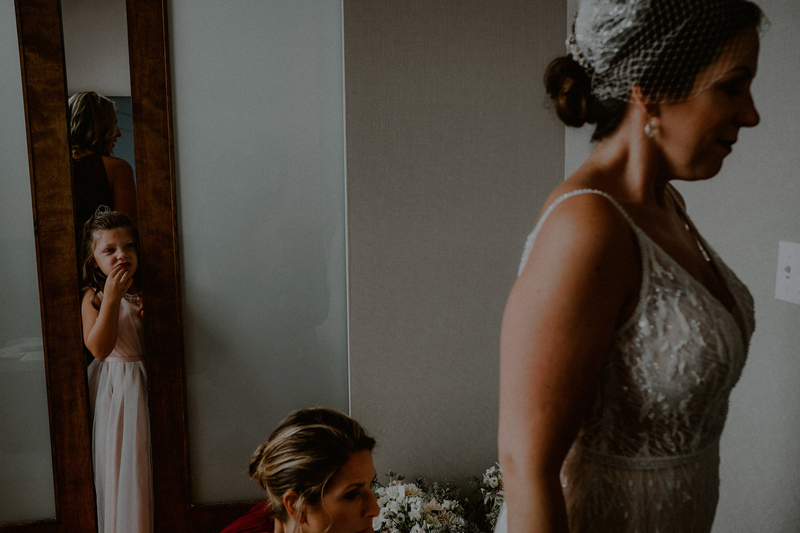 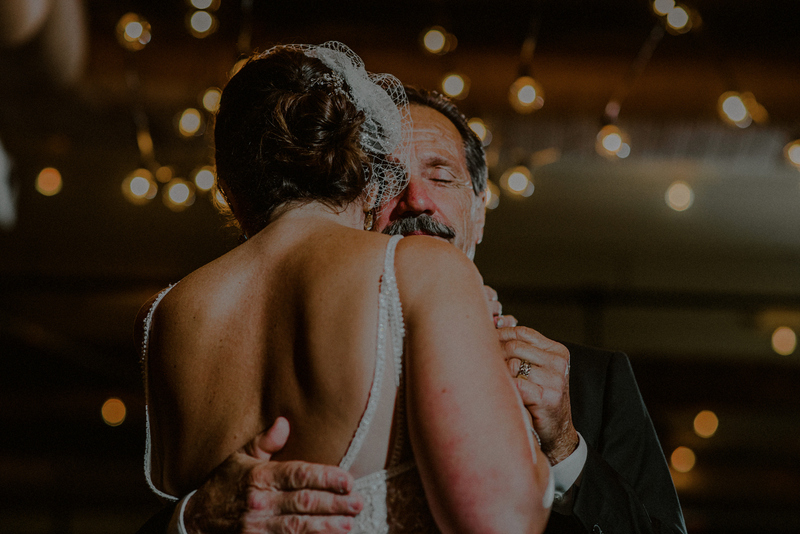 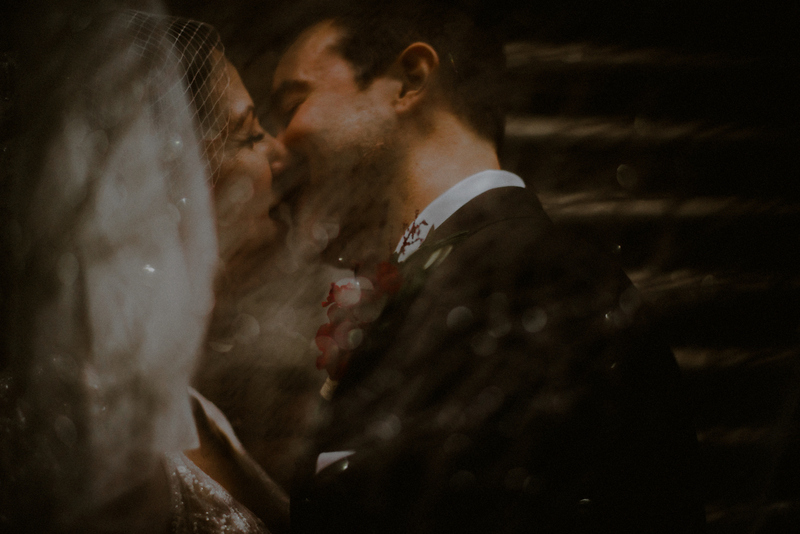 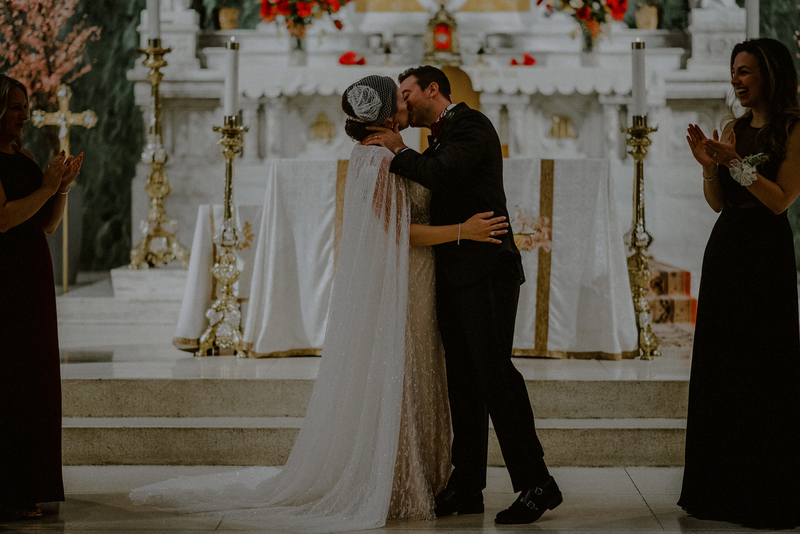 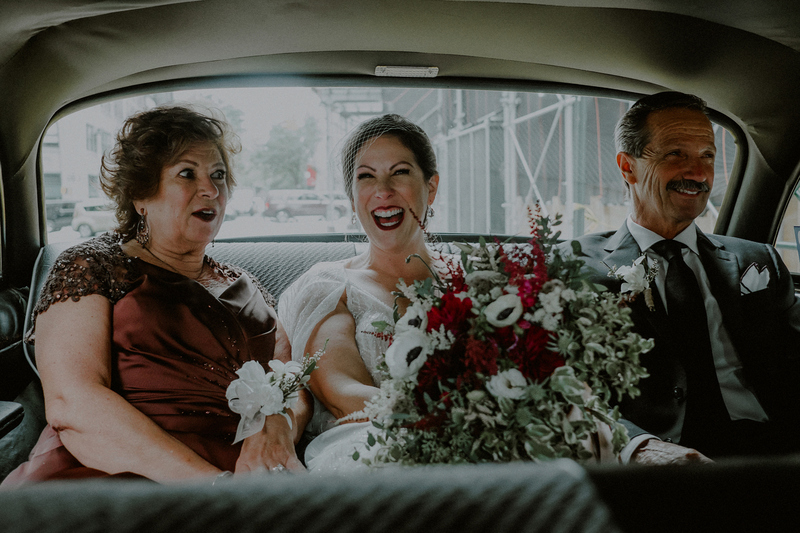 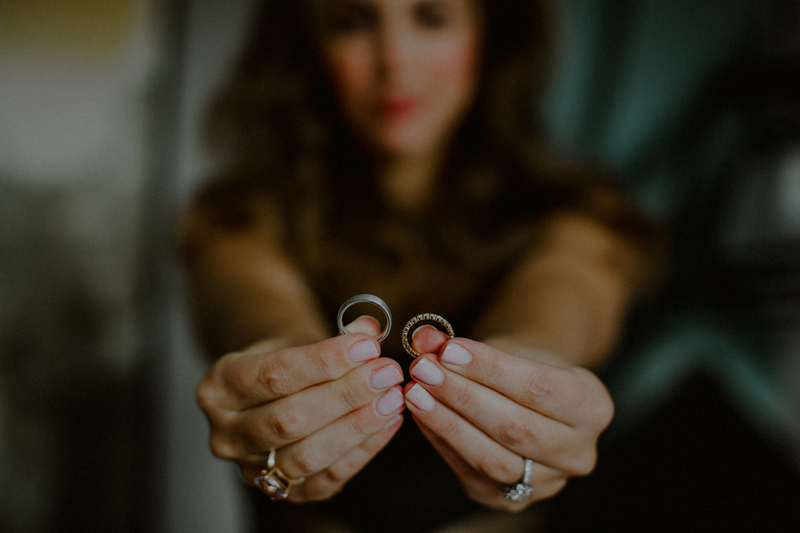 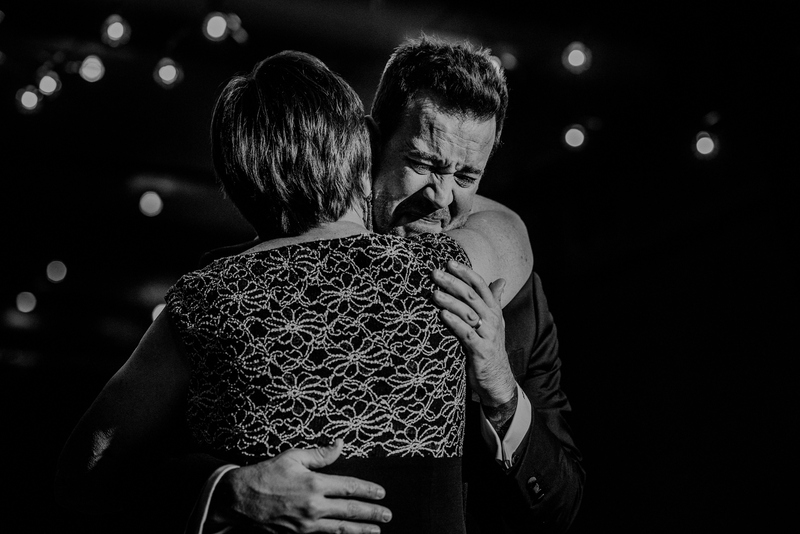 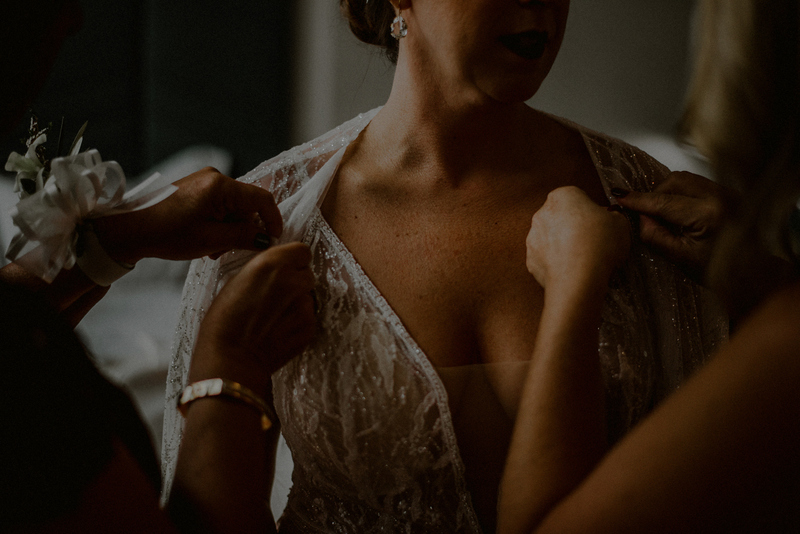 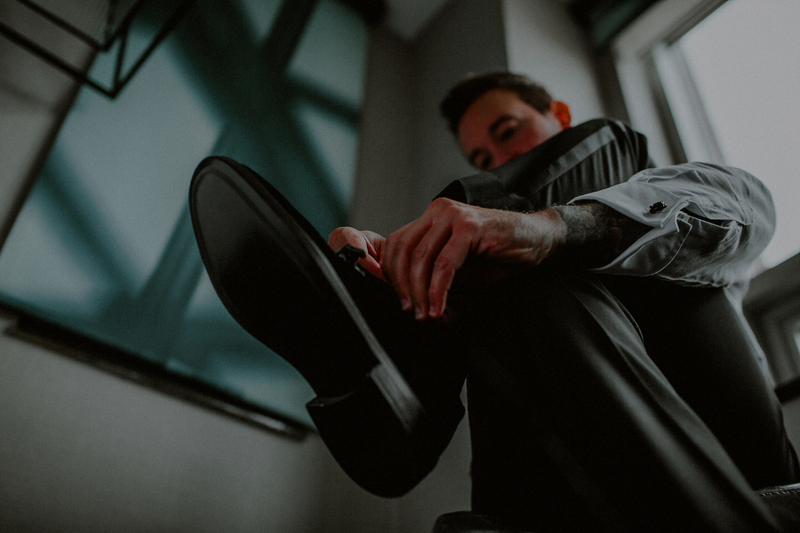 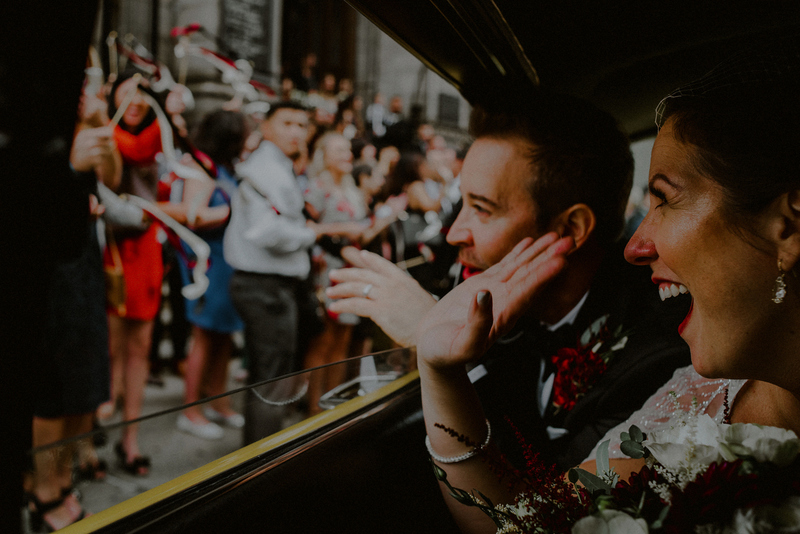 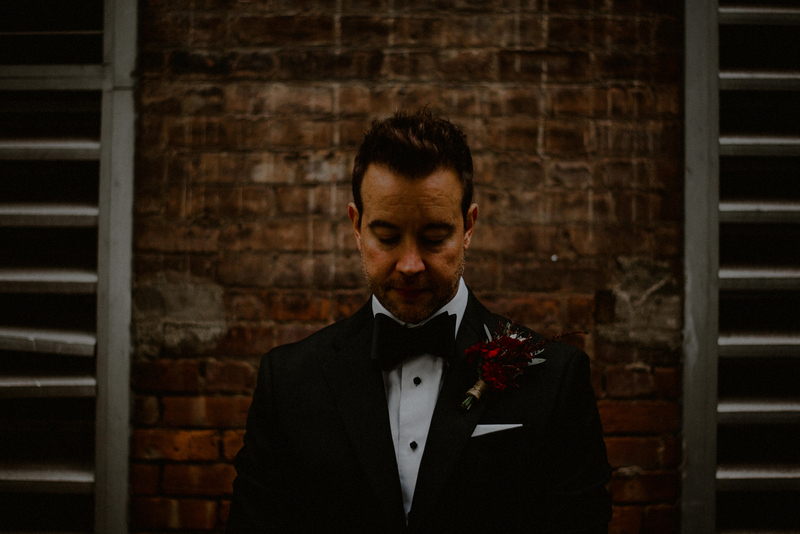 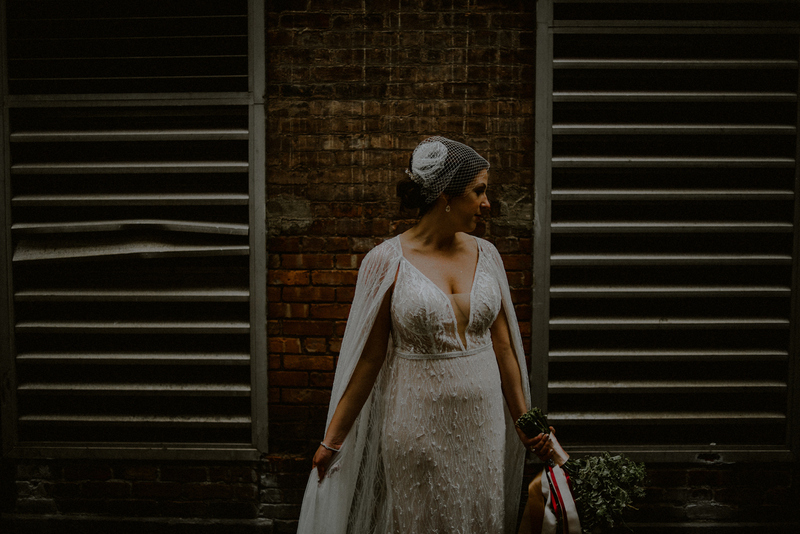 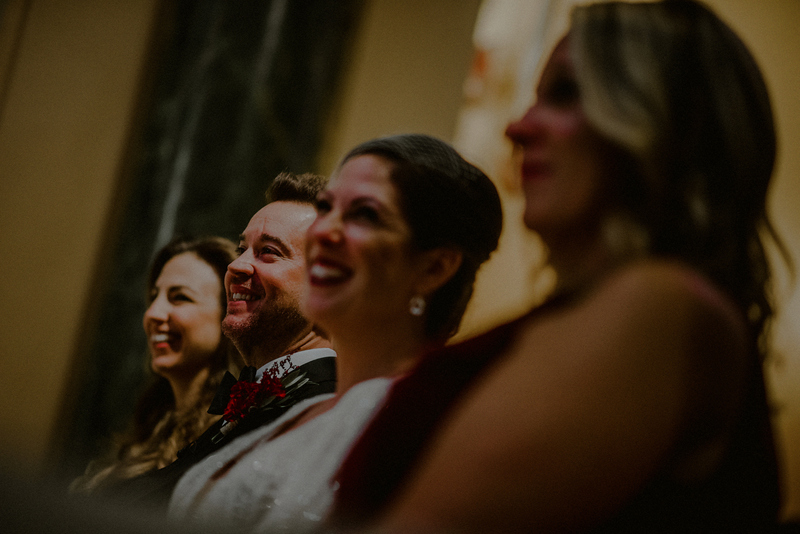 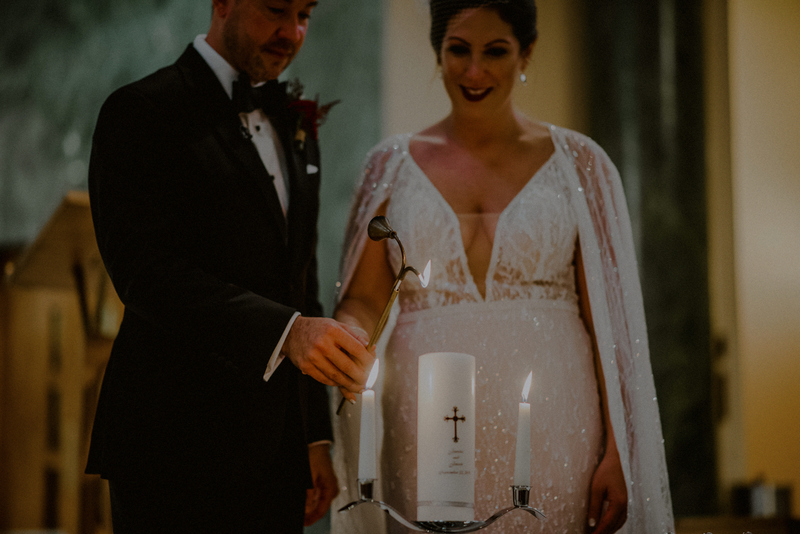 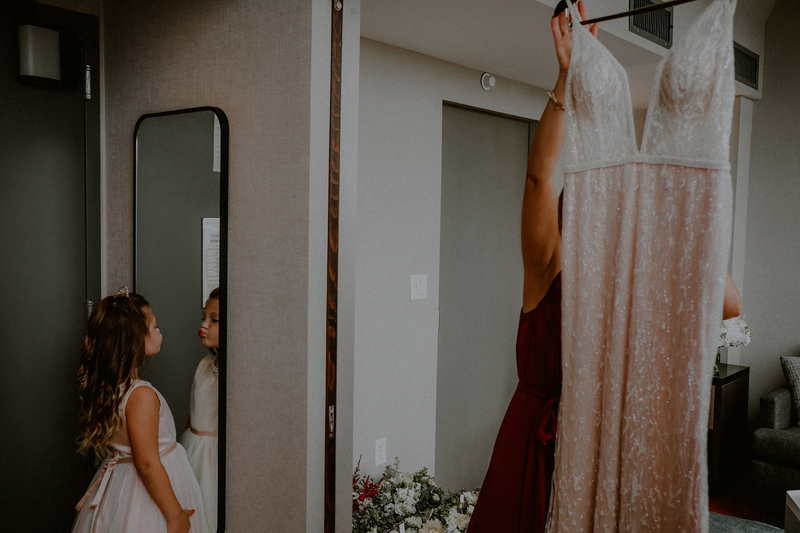 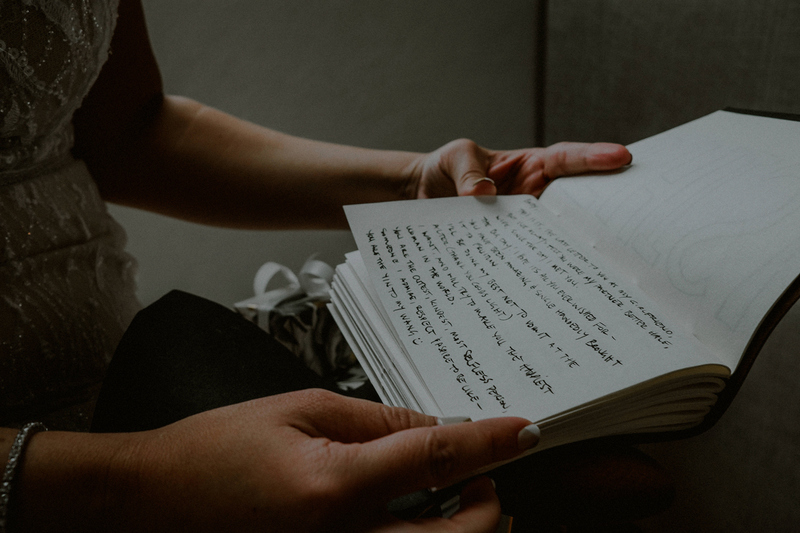 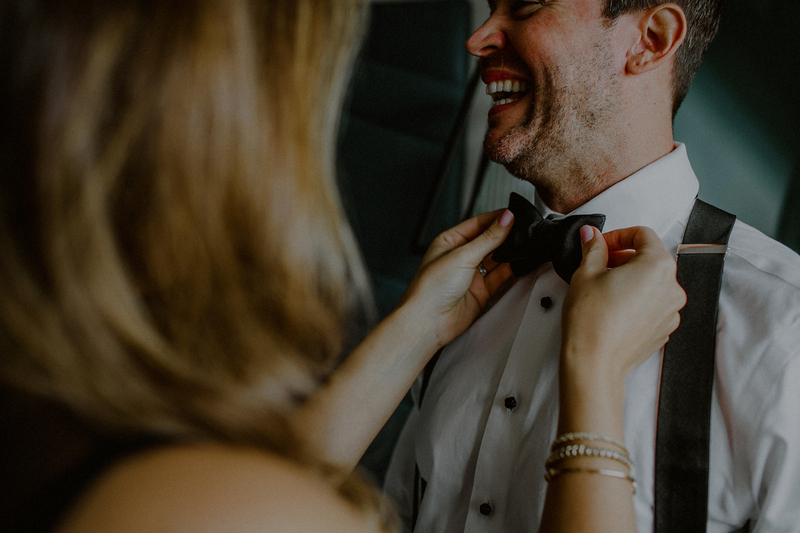 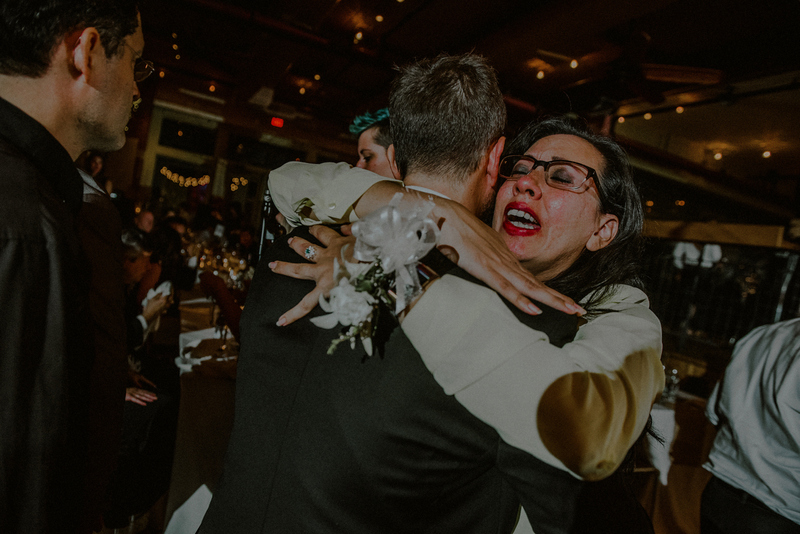 Janine and Jay opted for a more traditional approach, without seeing each other before the ceremony, so the emotions were really heightened before the walk down the aisle! 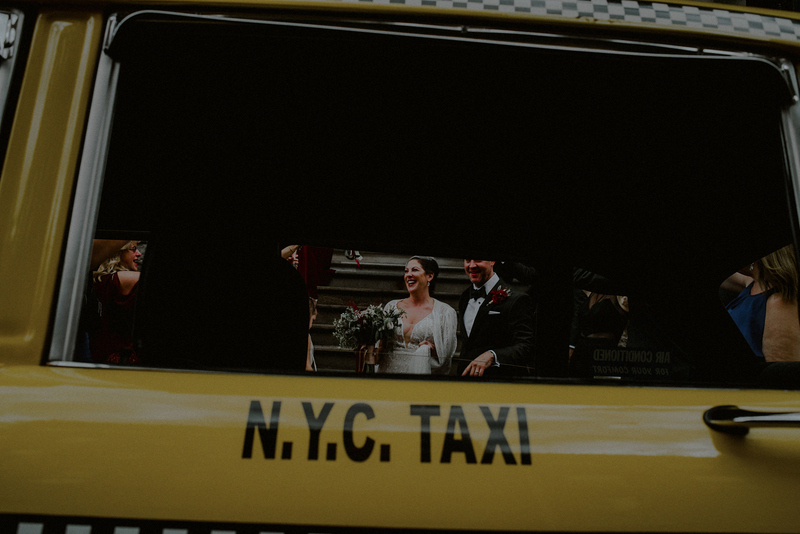 My favorite part of the whole day had to have been their grand exit out of the church, complete with an expected NYC crowd of strangers to cheer them on, ending with a drive to the City Winery in a classic old-school NYC taxi, where they just had so much fun being in their own little “just married” wedding high and waving at everyone they could. 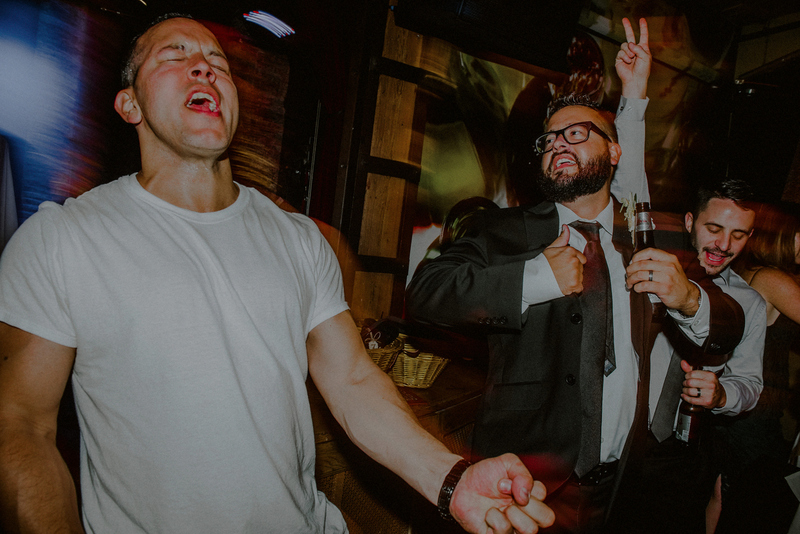 The party was just… well… it was crazy. 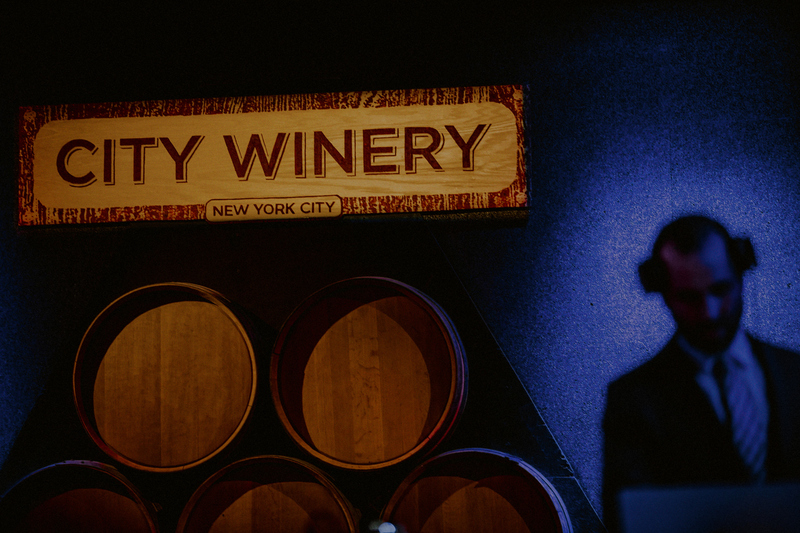 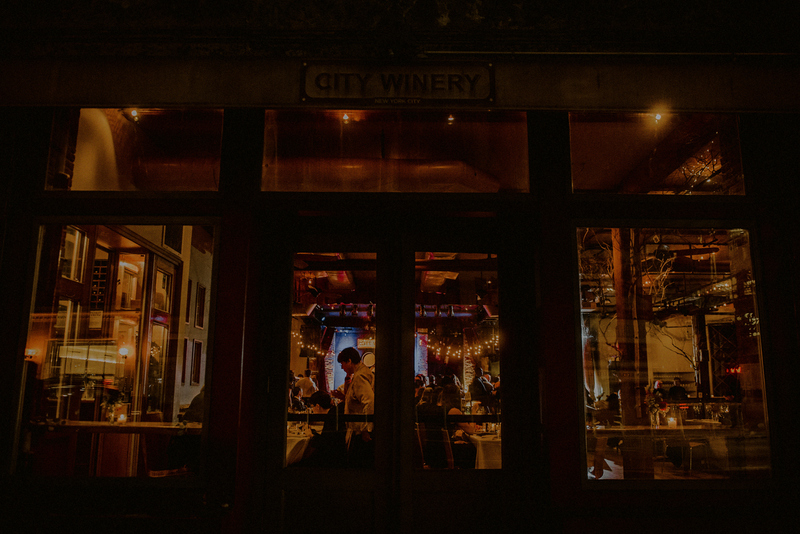 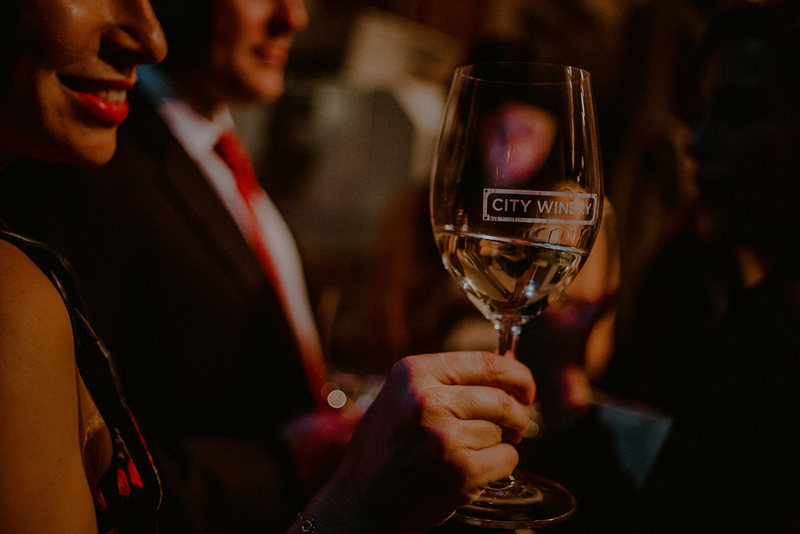 To start off, the setting of City Winery, an actual functioning winery in the middle of the city, is just pretty rad. 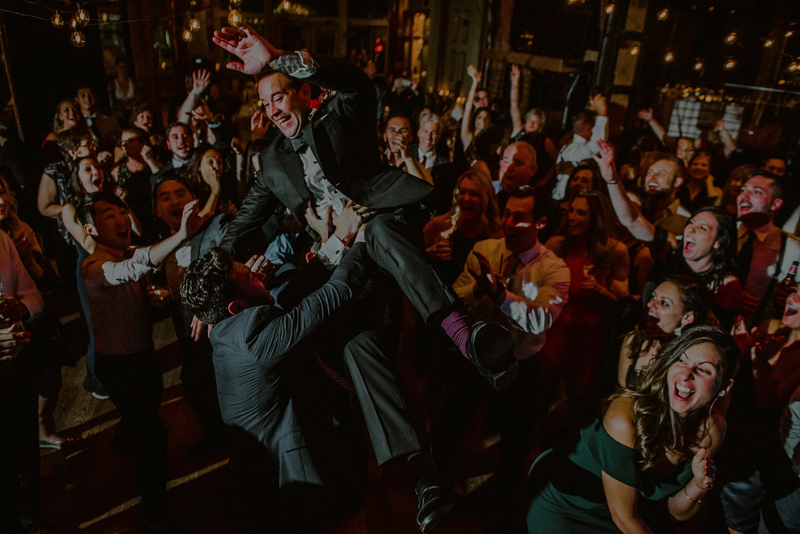 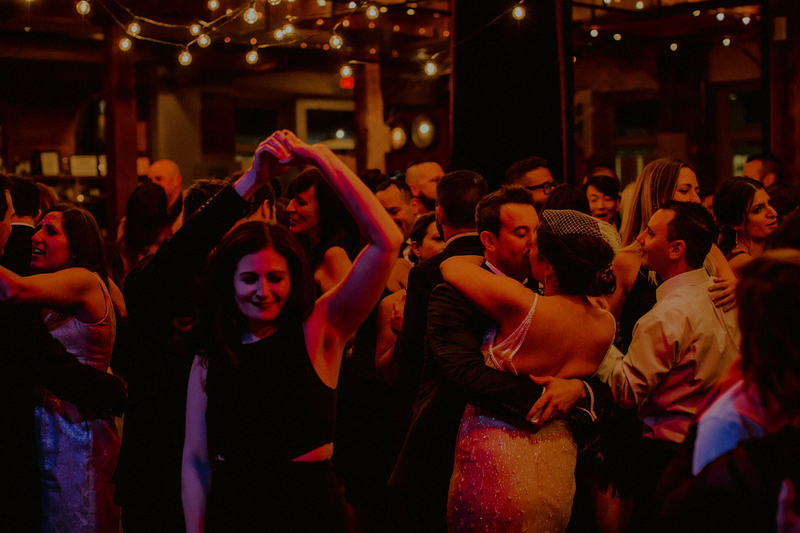 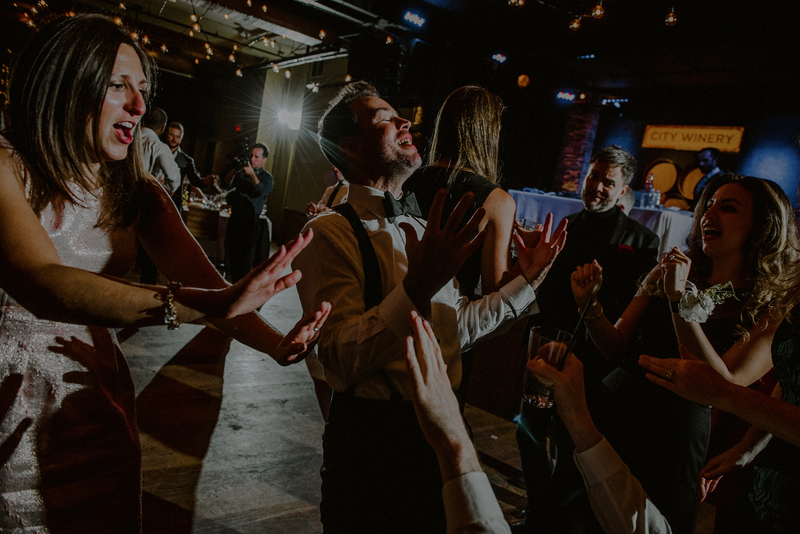 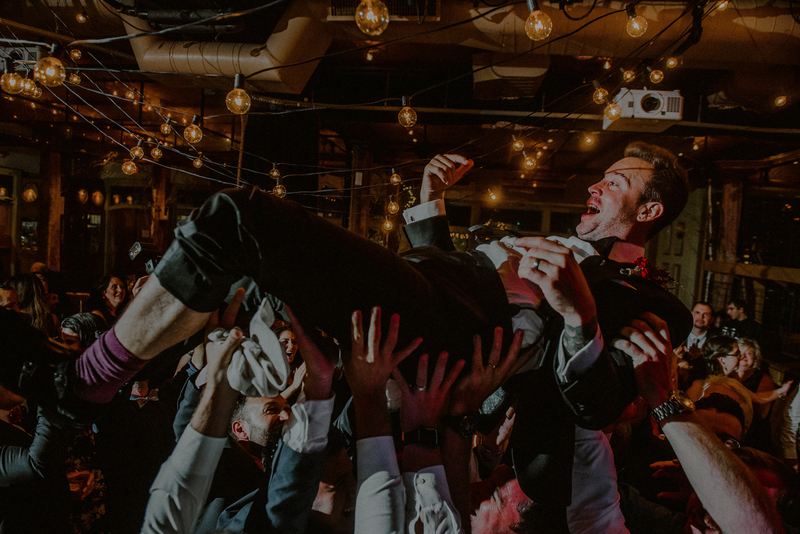 Complete with some crazy dancing, crowd surfing, cigars, and midnight street shenanigans, it was basically every emotion you could ever experience in a wedding in that one amazing day! 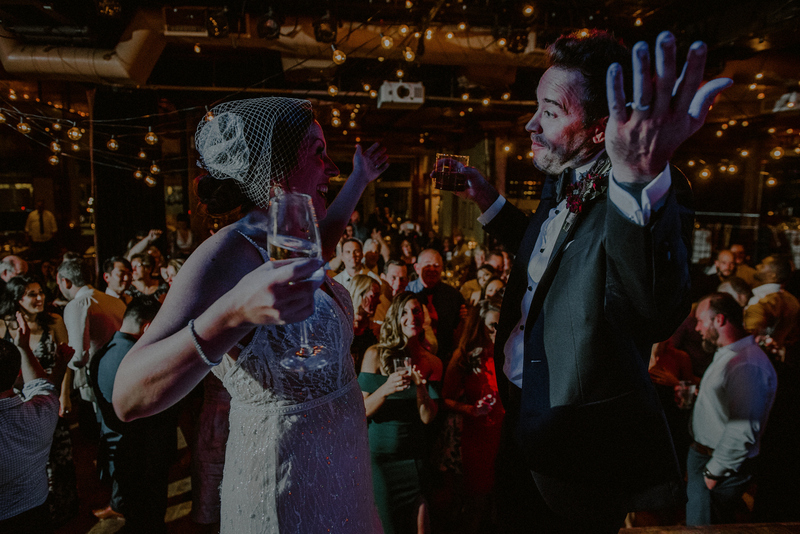 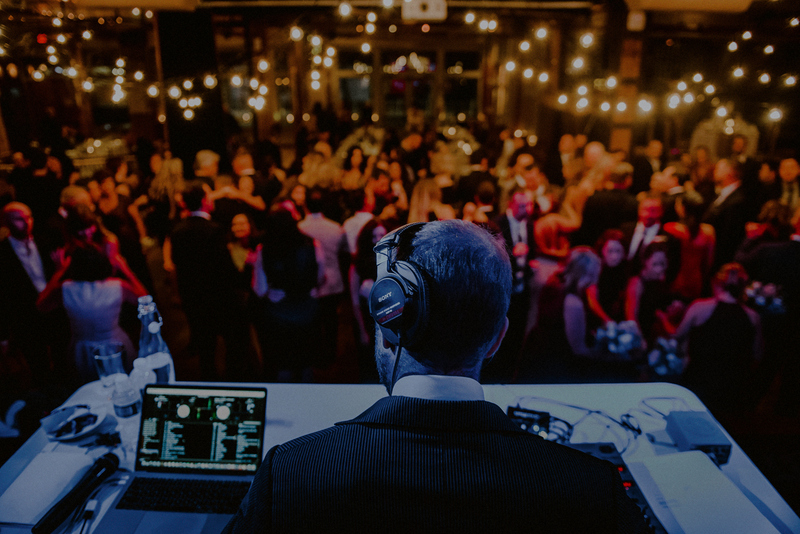 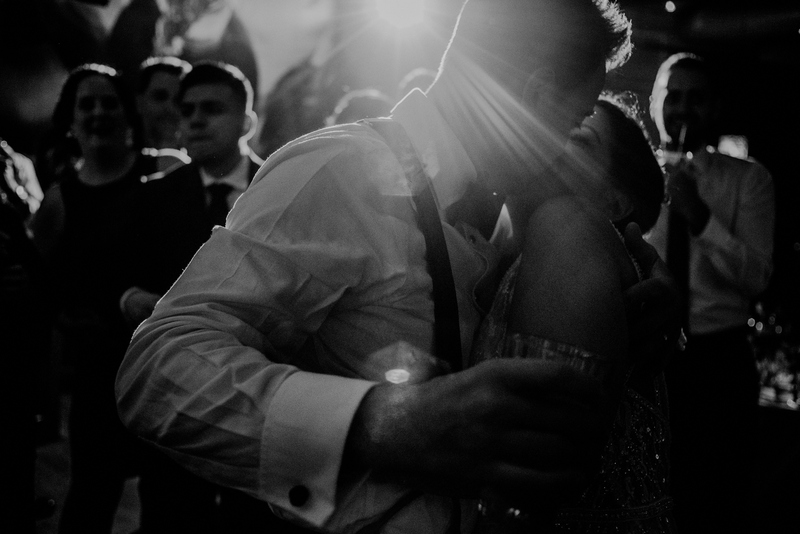 Thank you for having me along for the ride, guys, I loved every bit of capturing you, through the tears, laughs, and fun, drunken moments on the dance floor! 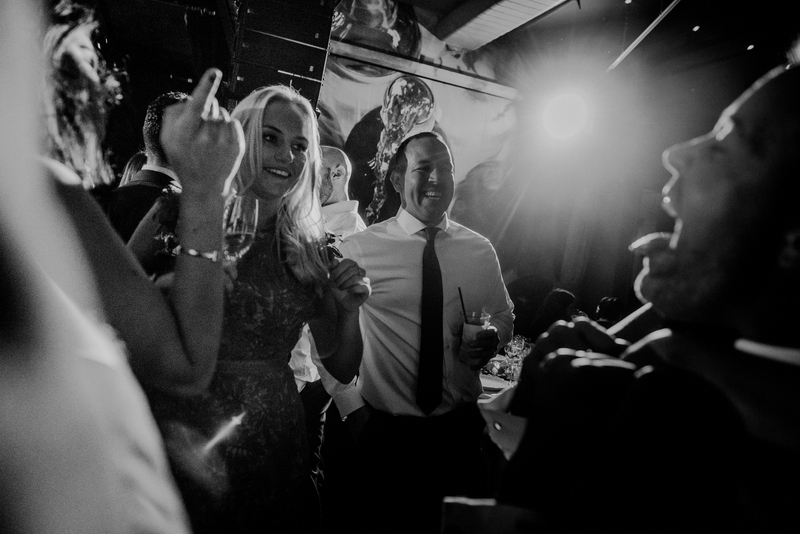 Also big thanks to my second photographer Danilo for capturing the craziness with me! 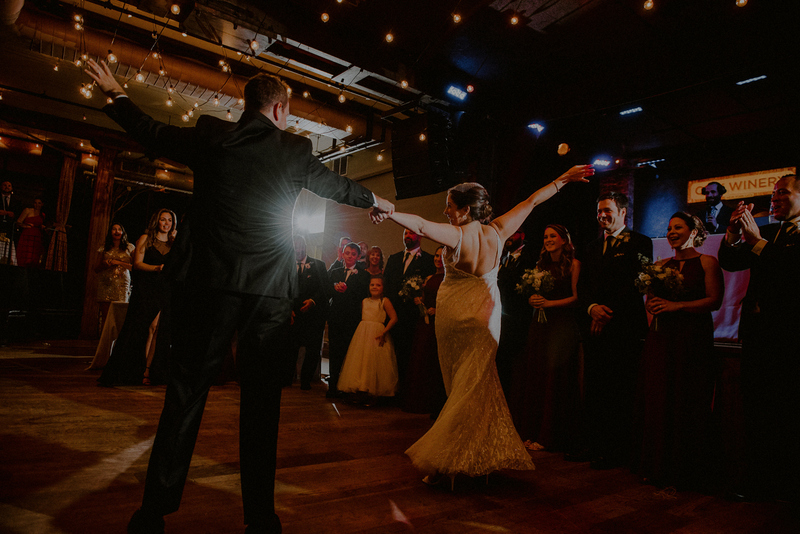 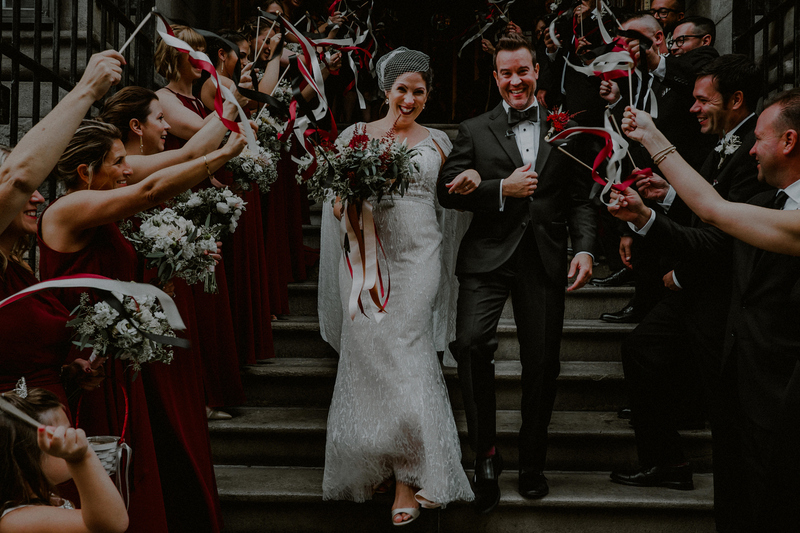 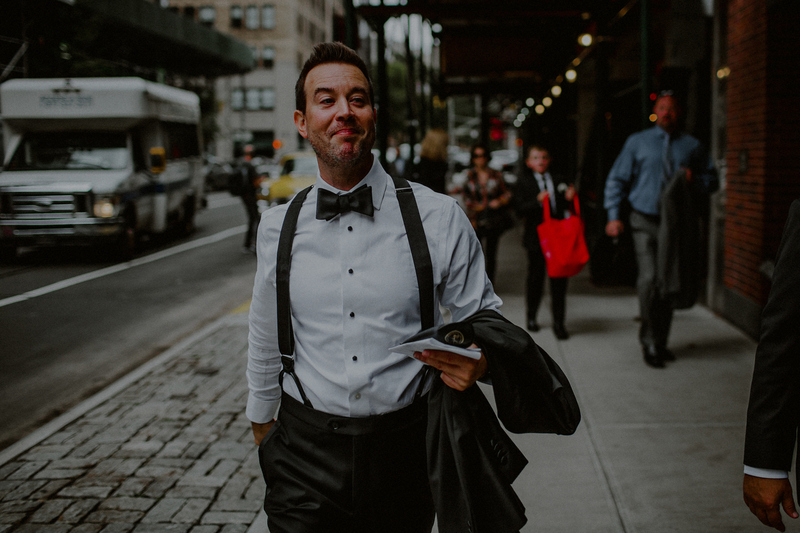 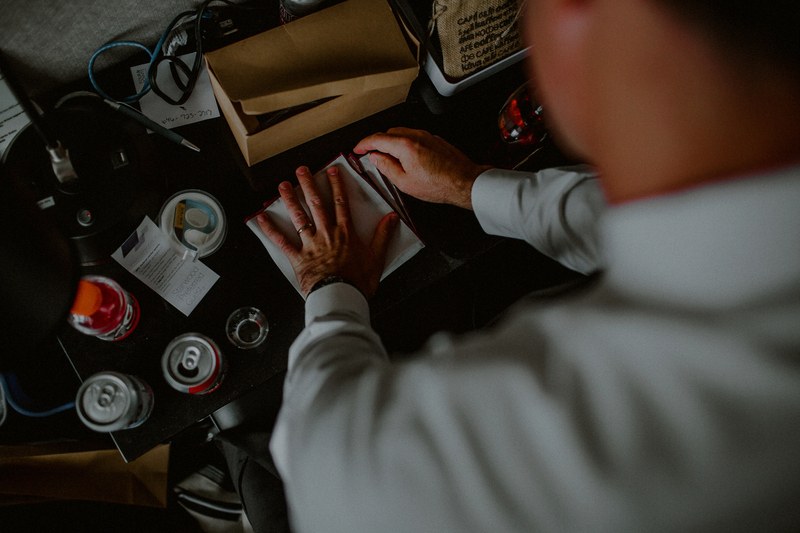 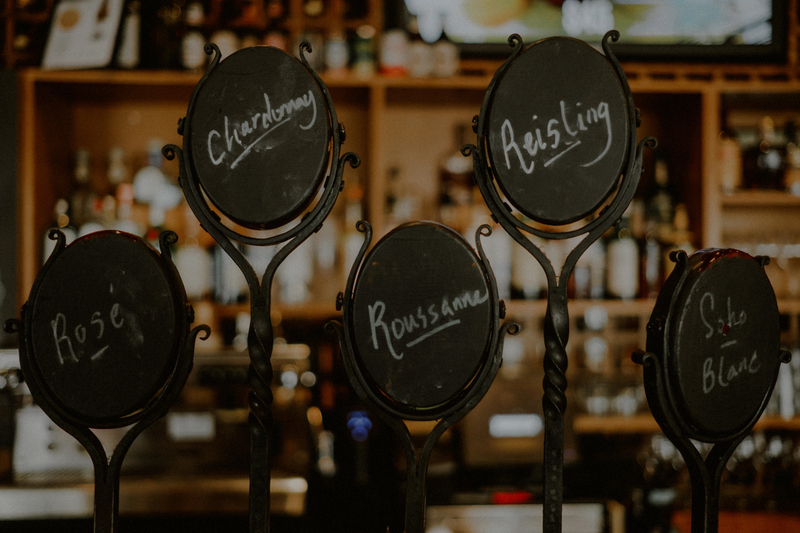 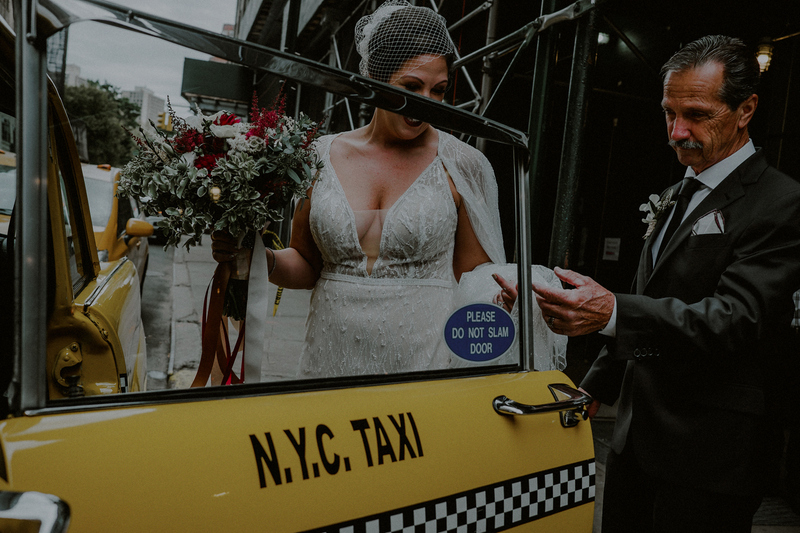 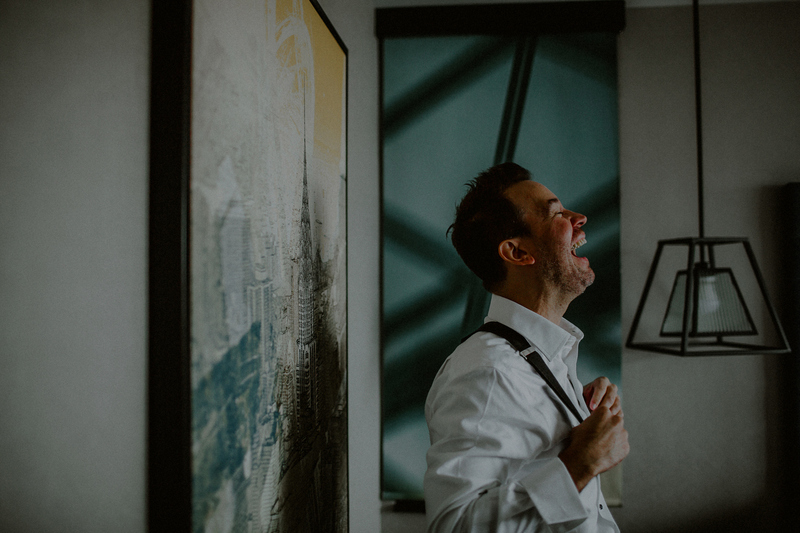 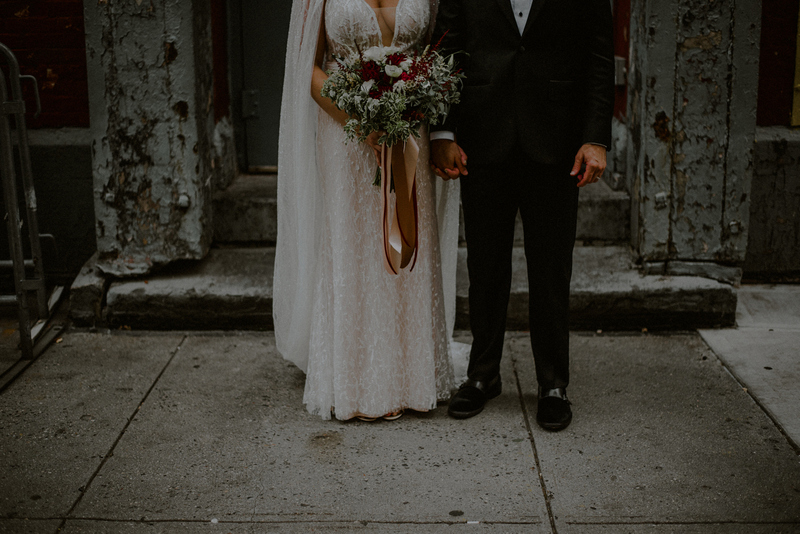 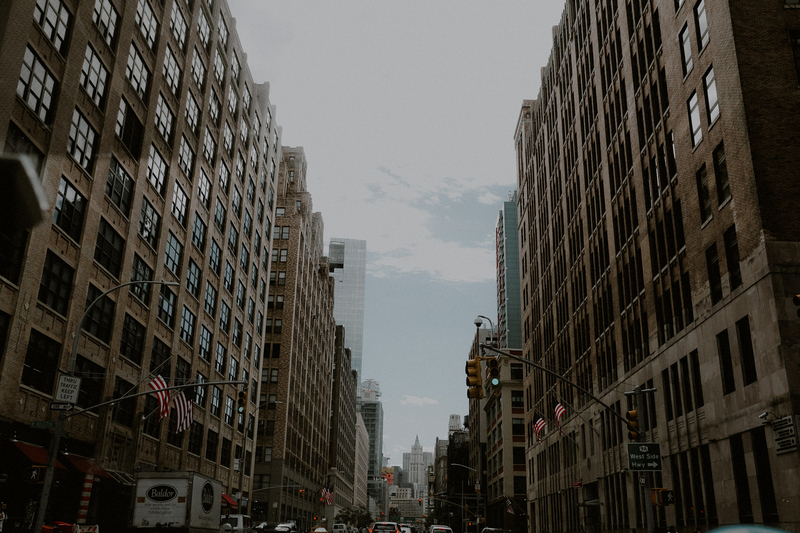 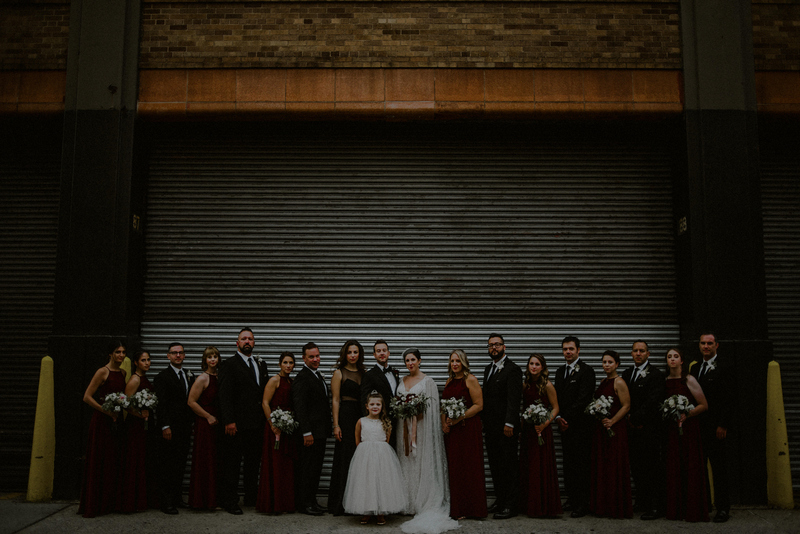 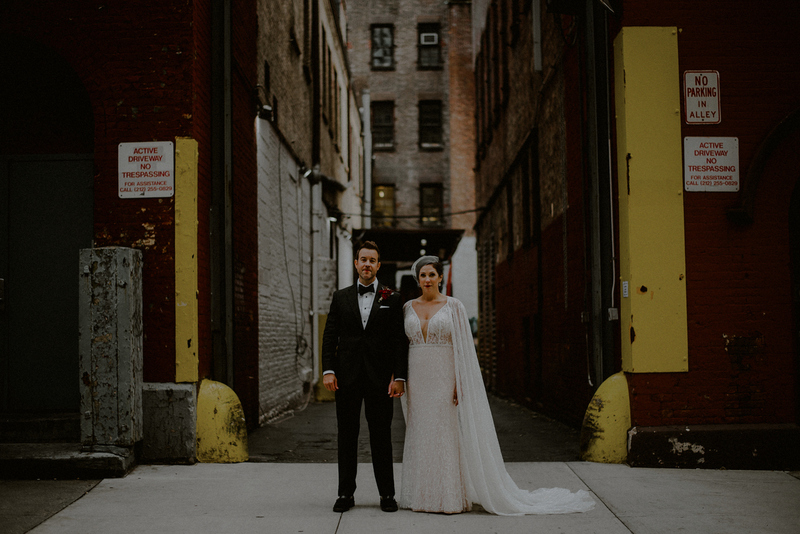 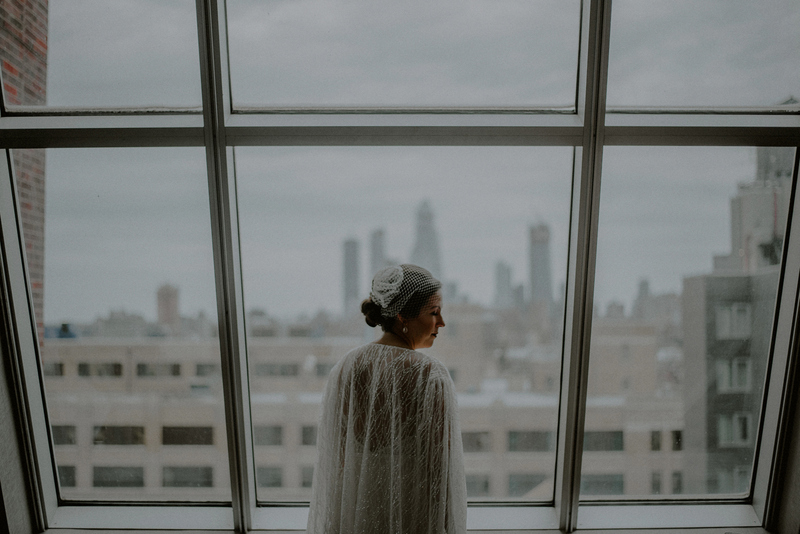 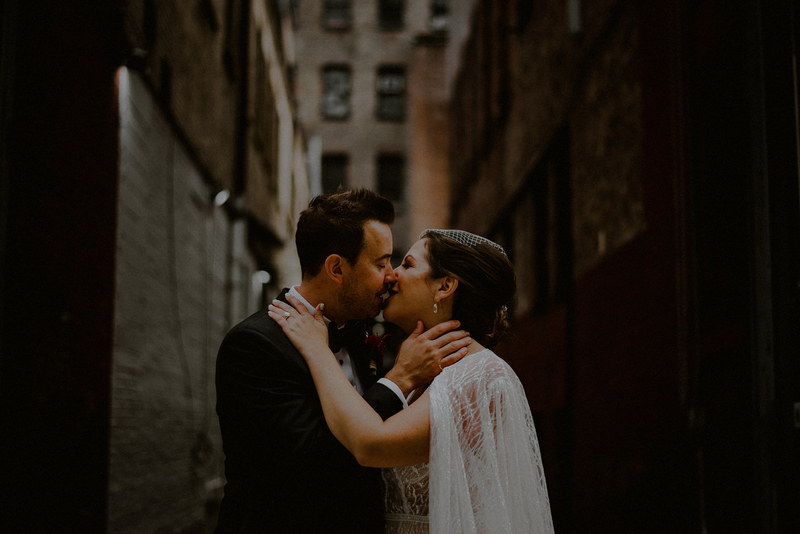 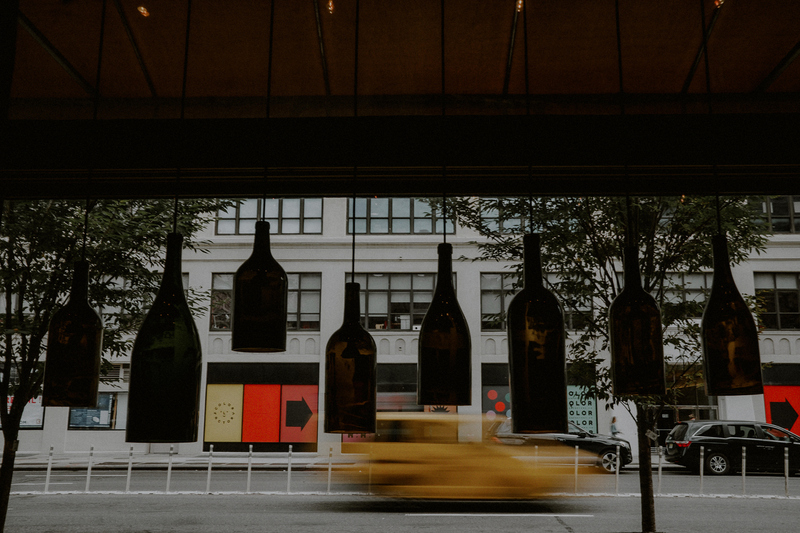 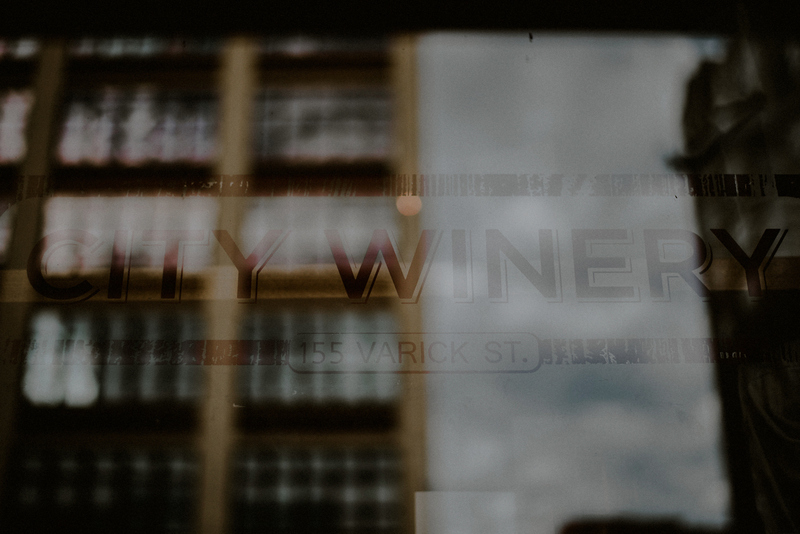 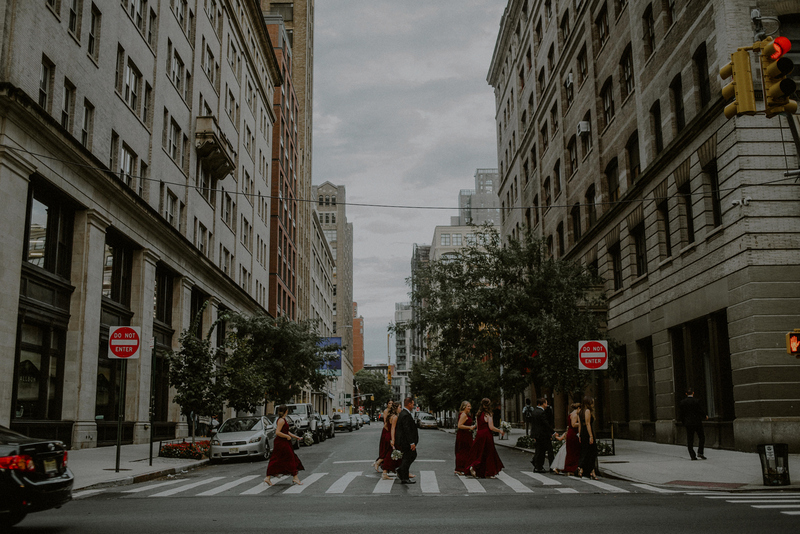 If you love the hustle and bustle of this NYC Winery Wedding, check out a this other great NYC rooftop wedding and another NYC loft wedding that really merges a classic church wedding with that NYC grit that I just love!